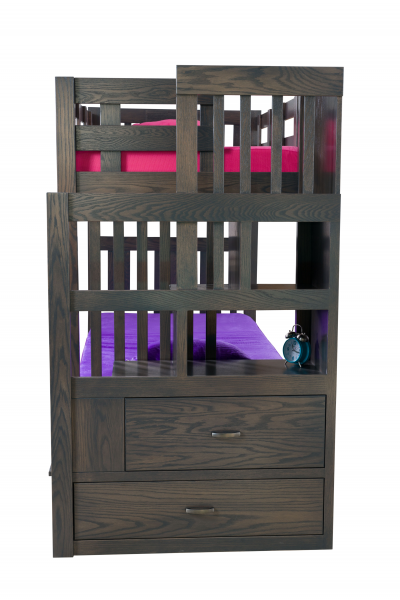 We can design children's furniture that can grow with your child. 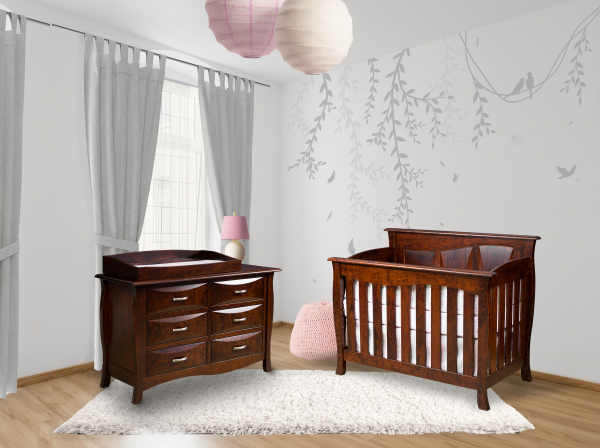 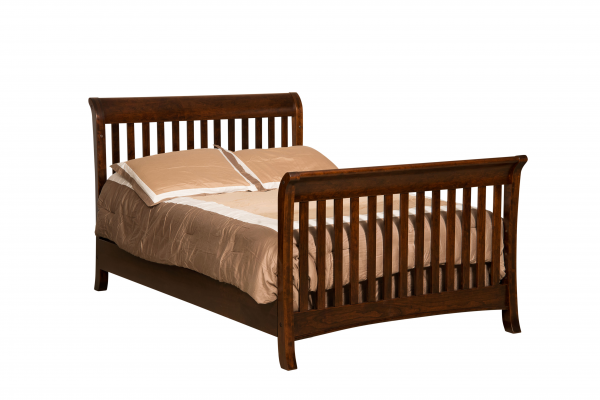 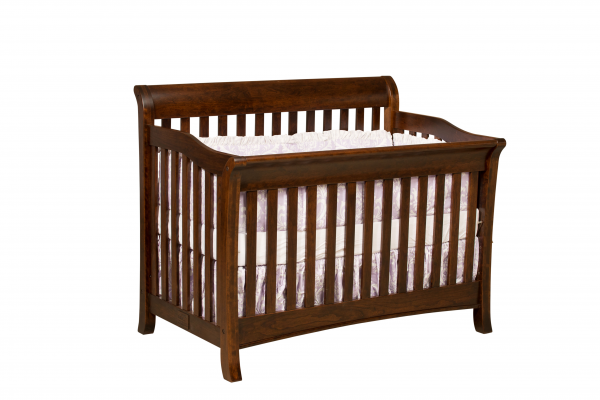 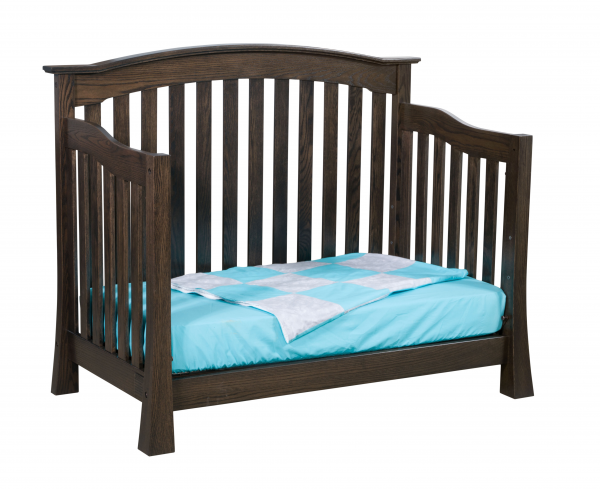 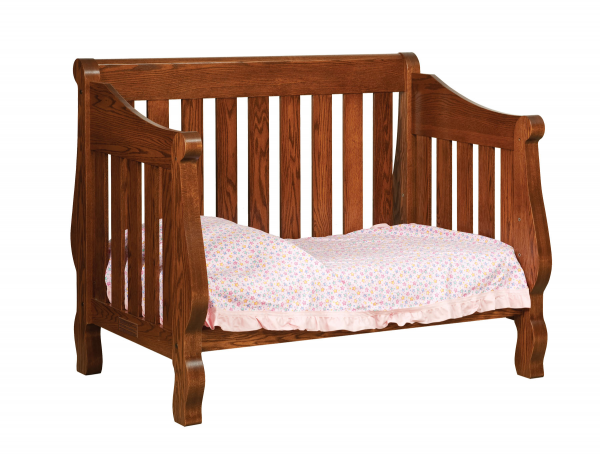 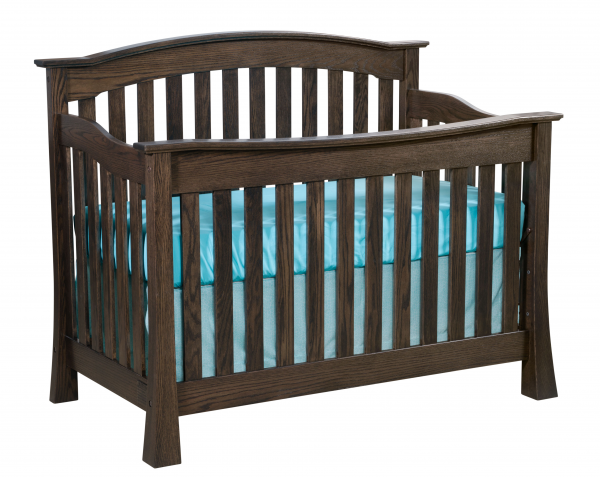 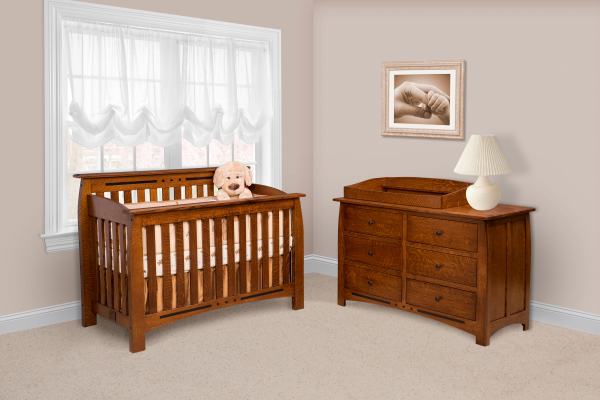 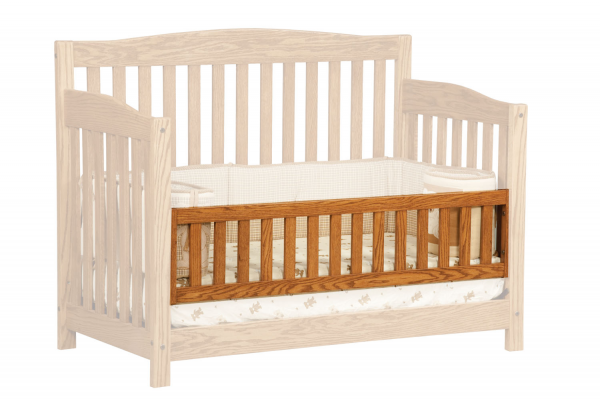 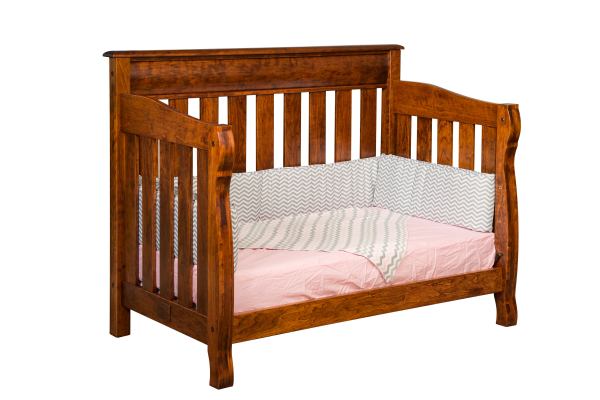 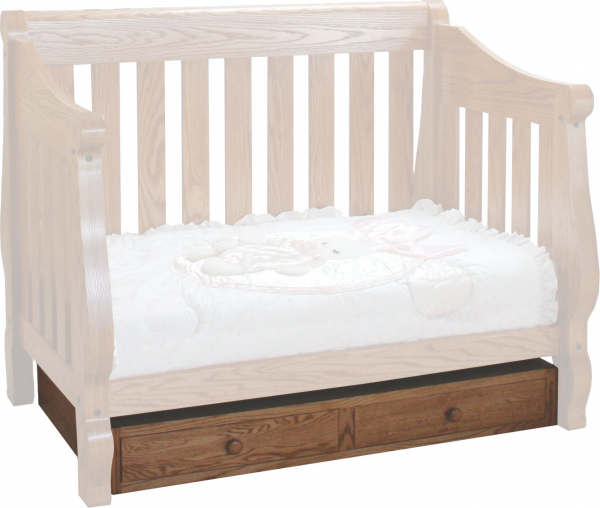 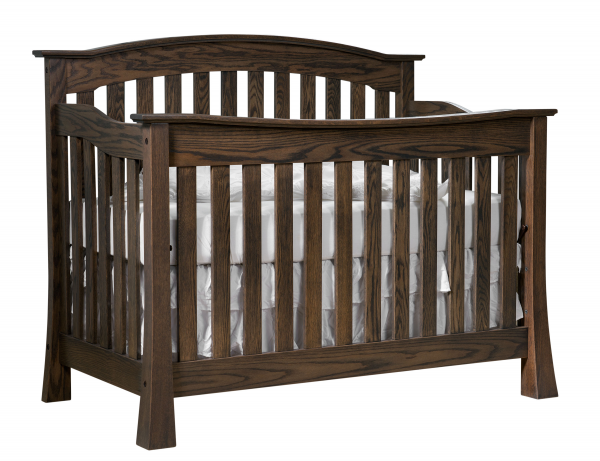 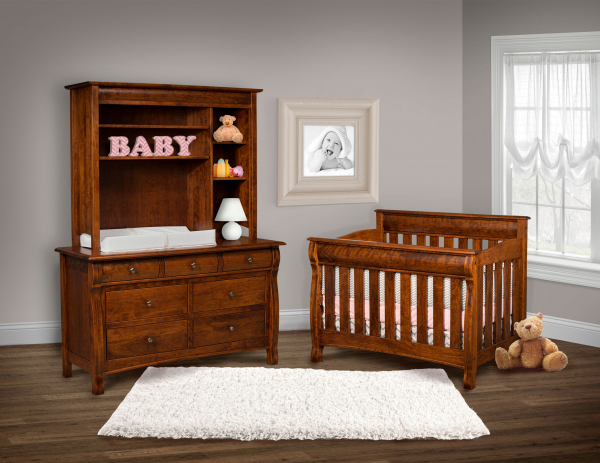 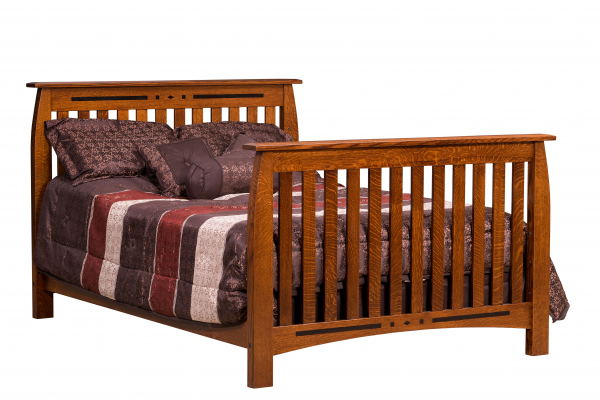 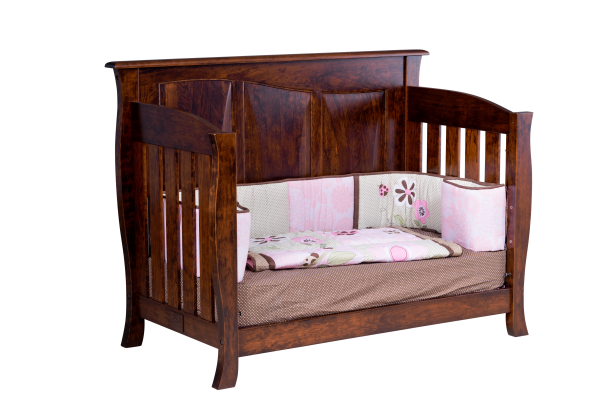 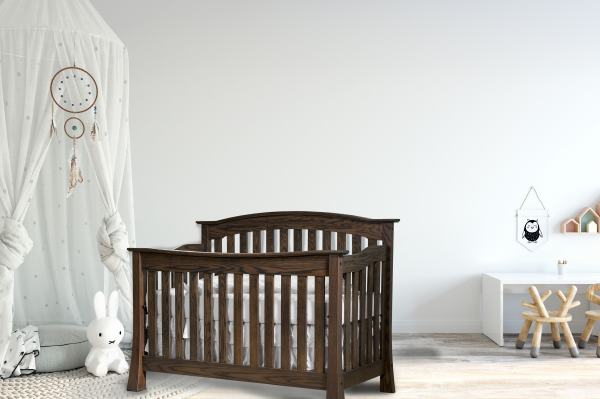 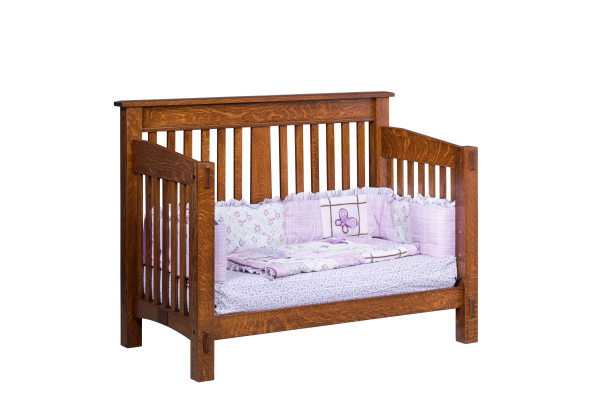 Our cribs convert to a day bed, to a double bed. 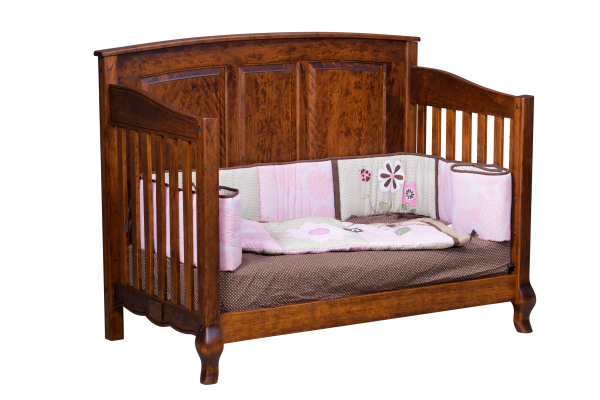 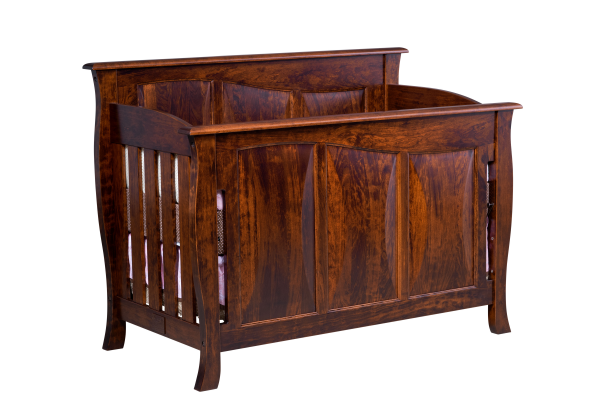 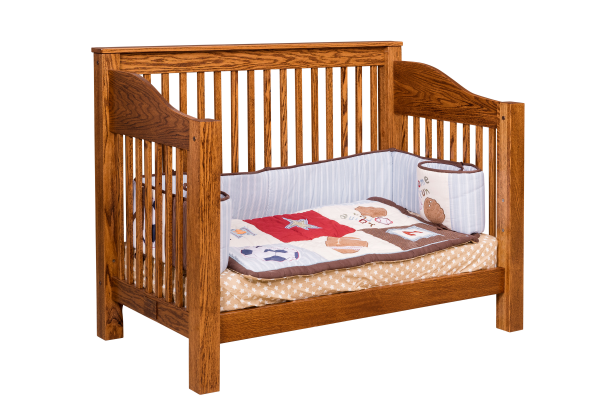 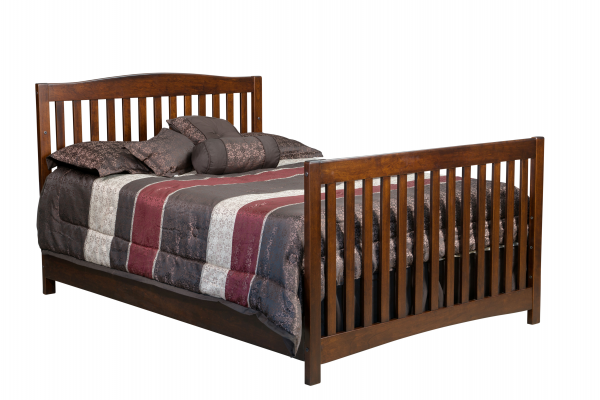 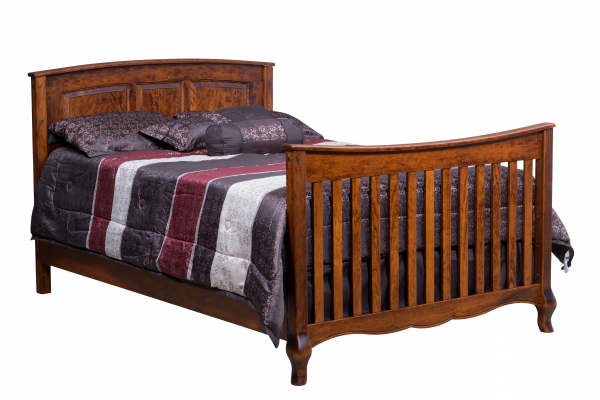 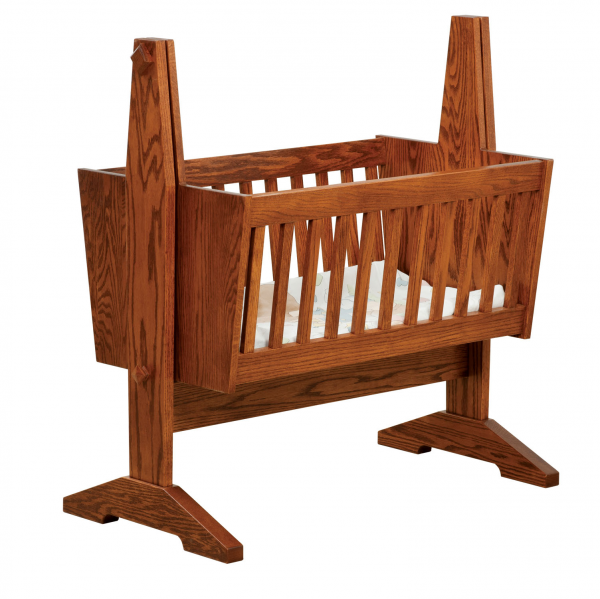 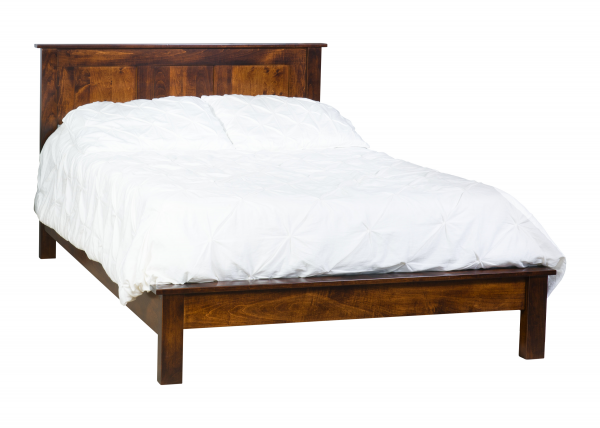 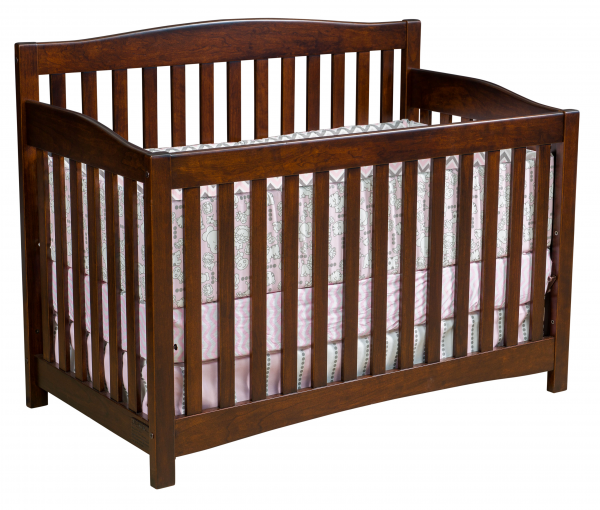 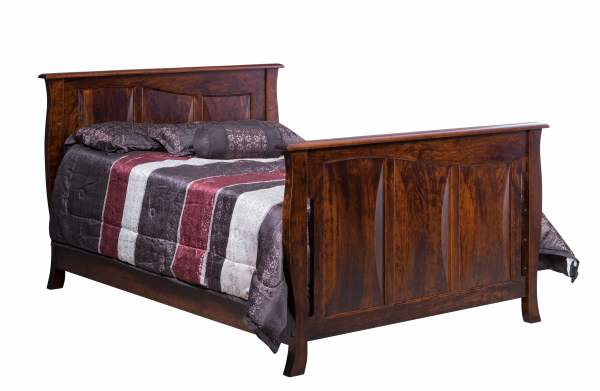 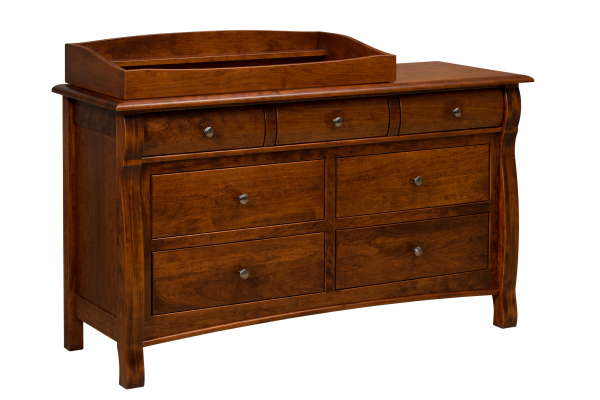 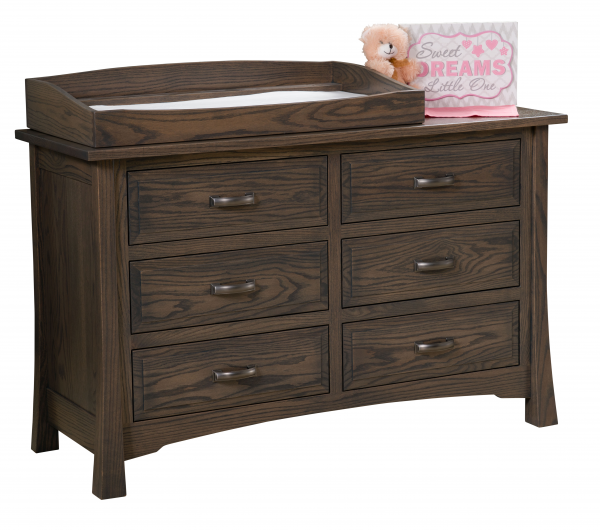 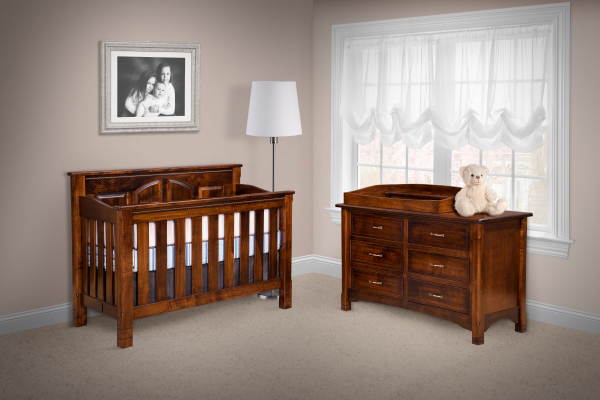 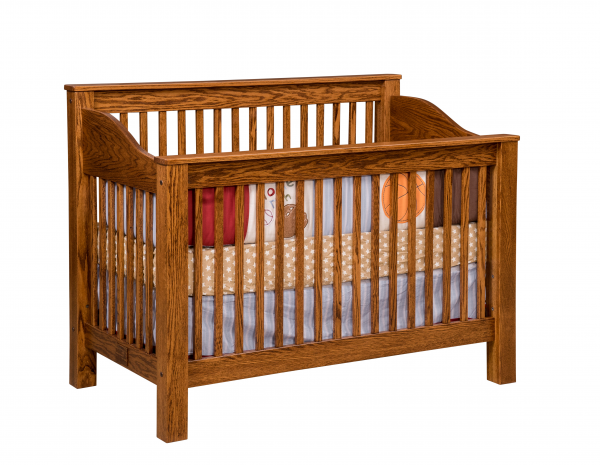 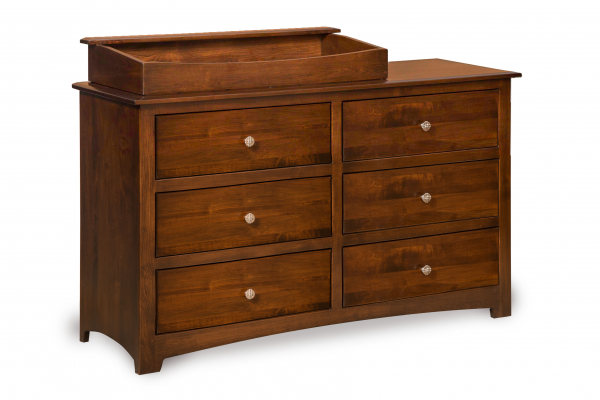 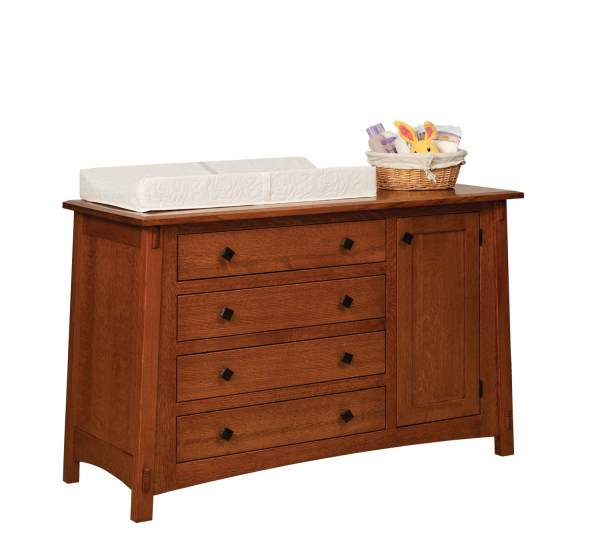 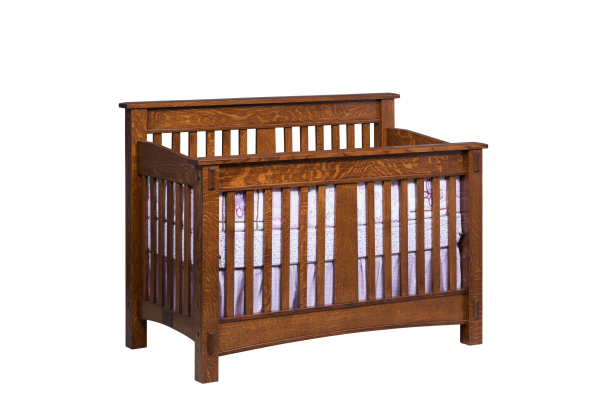 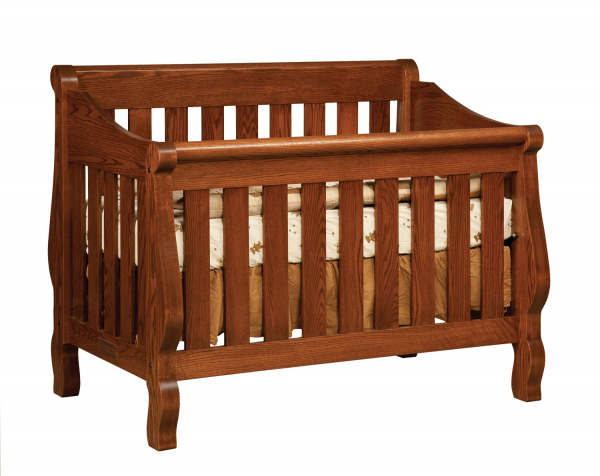 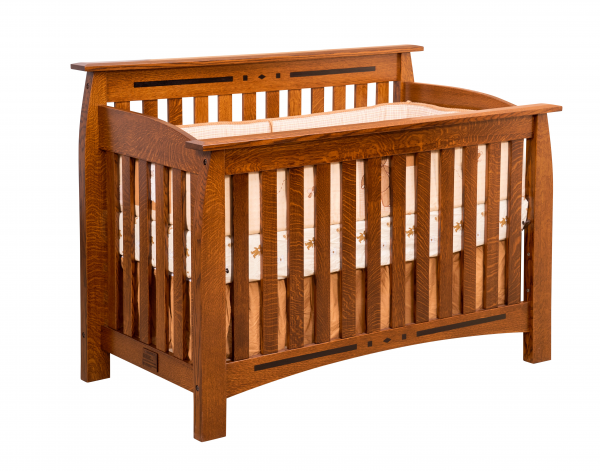 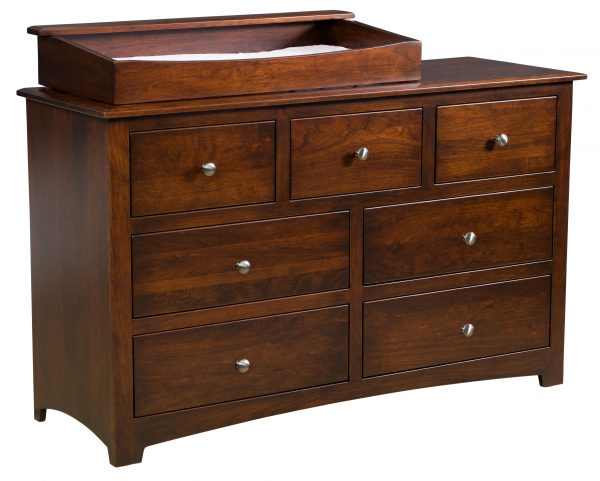 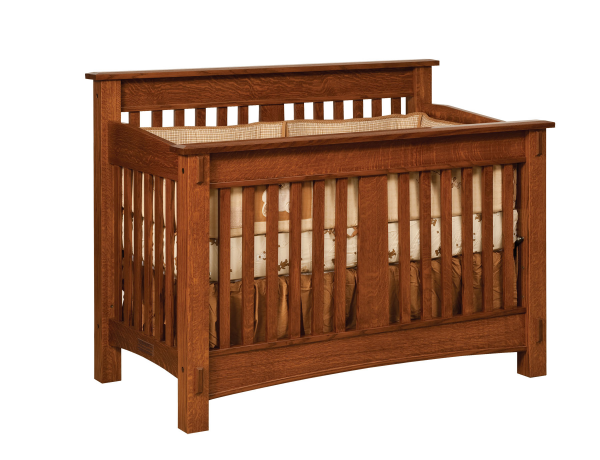 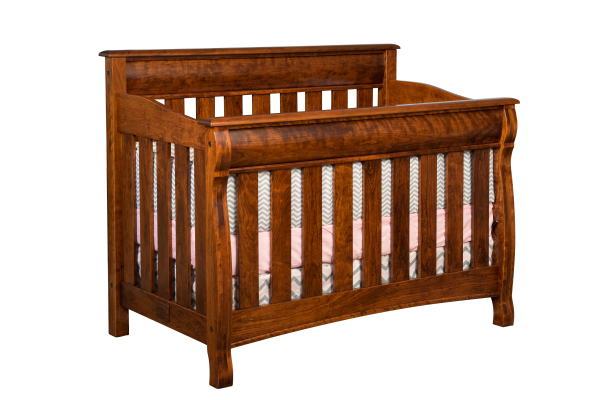 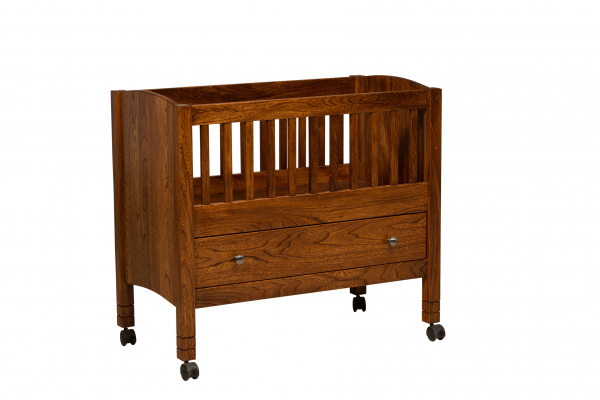 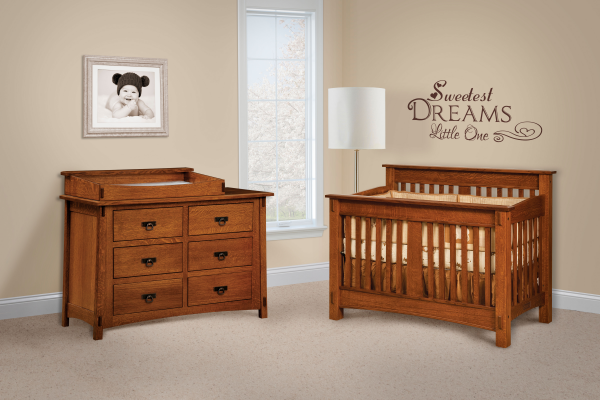 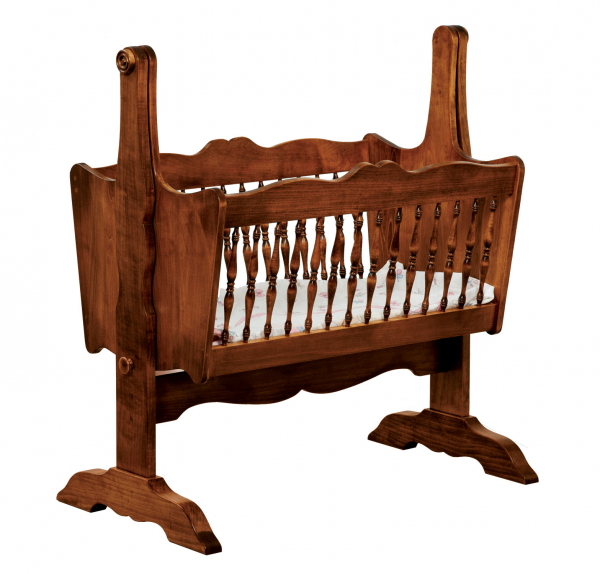 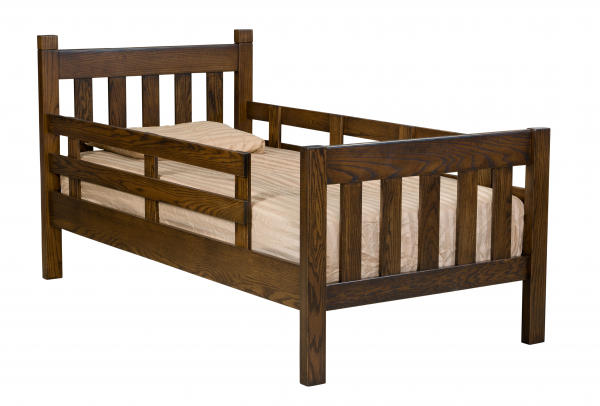 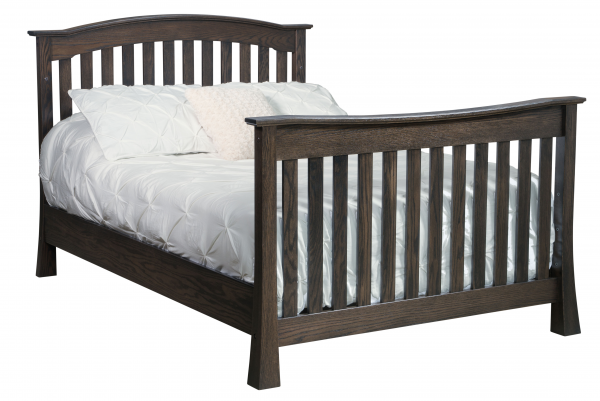 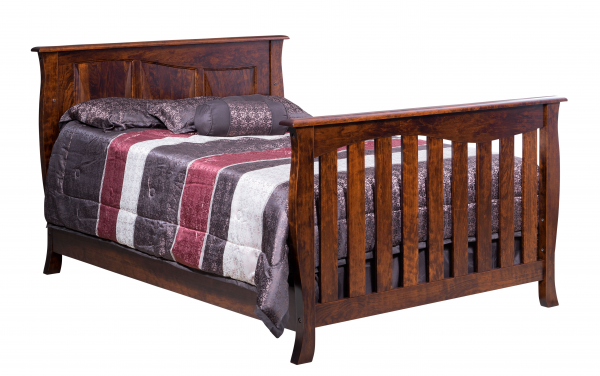 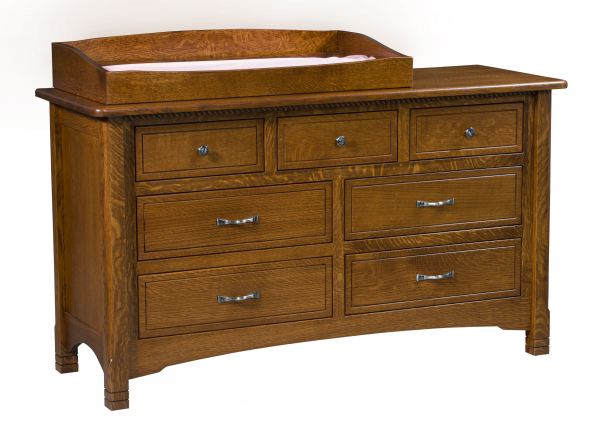 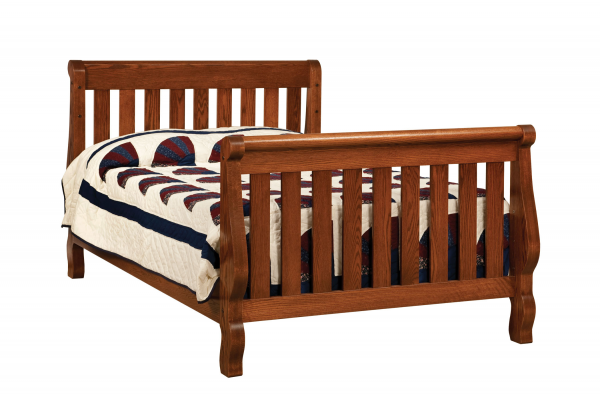 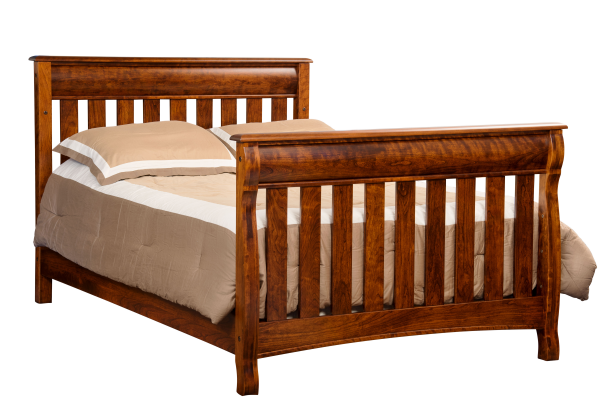 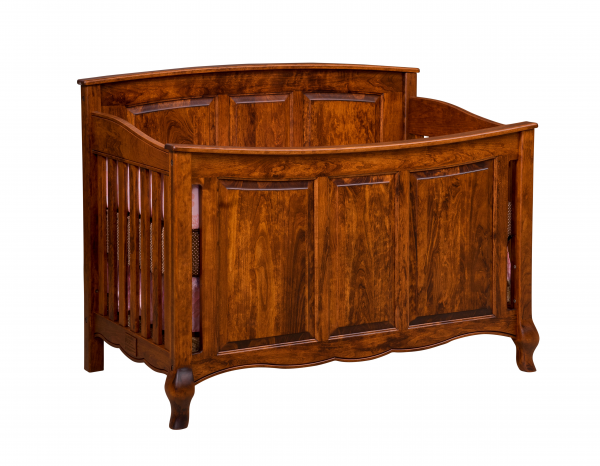 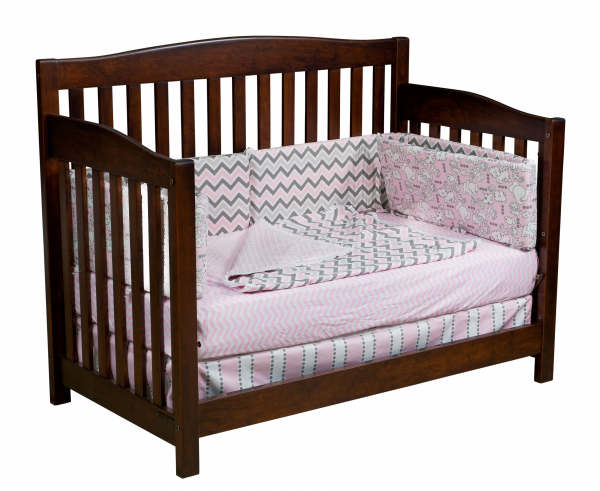 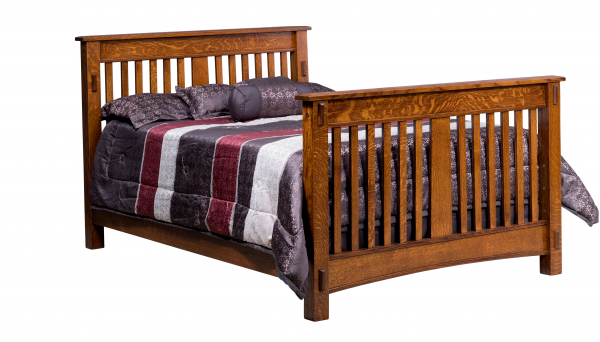 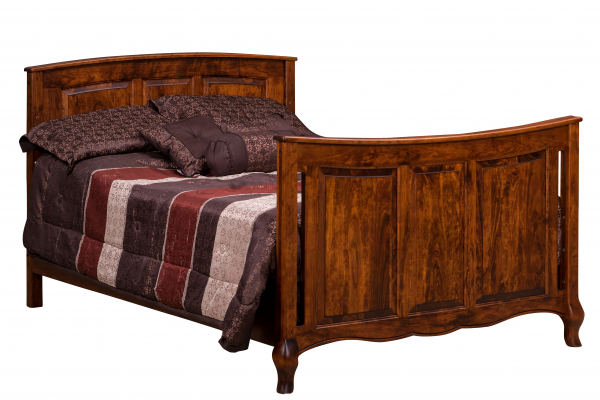 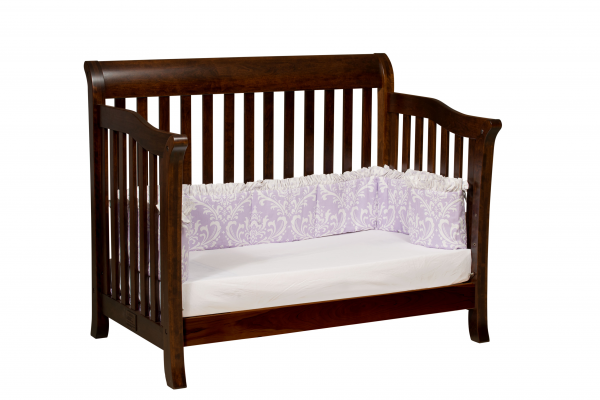 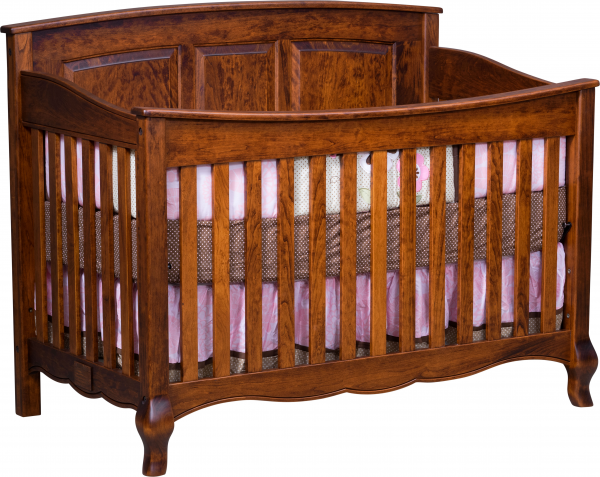 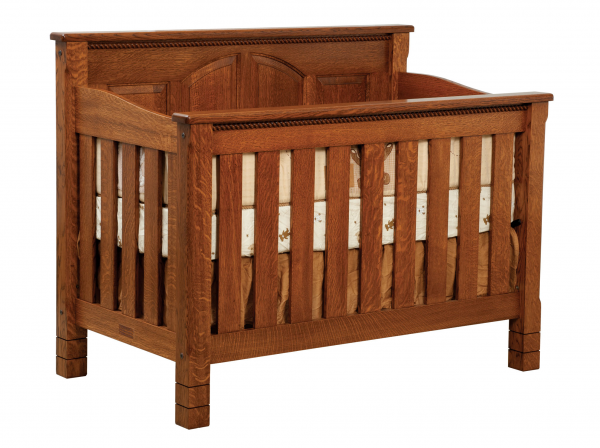 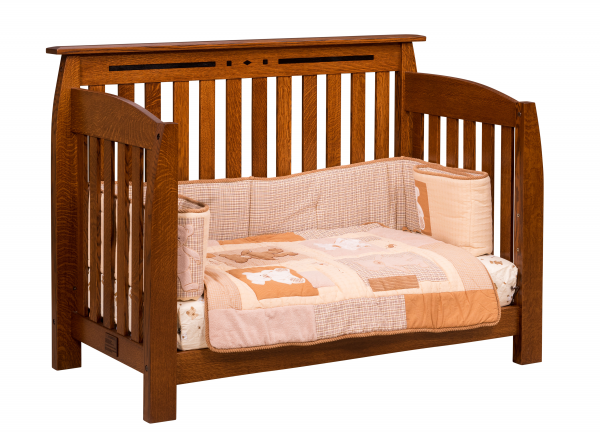 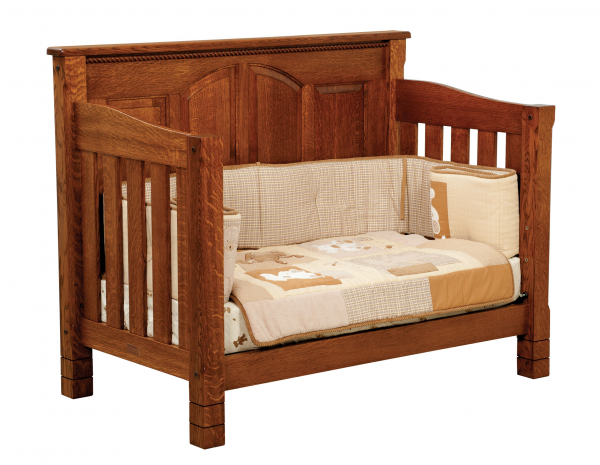 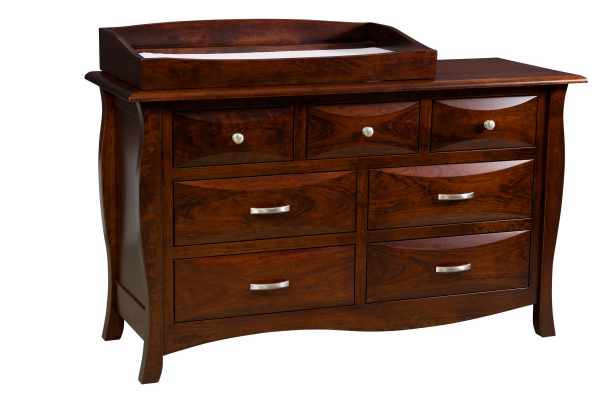 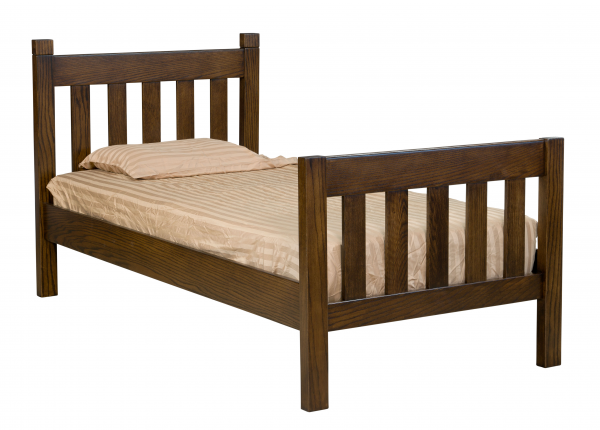 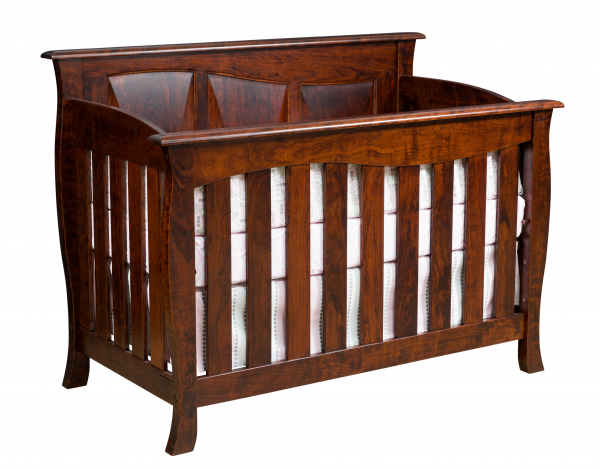 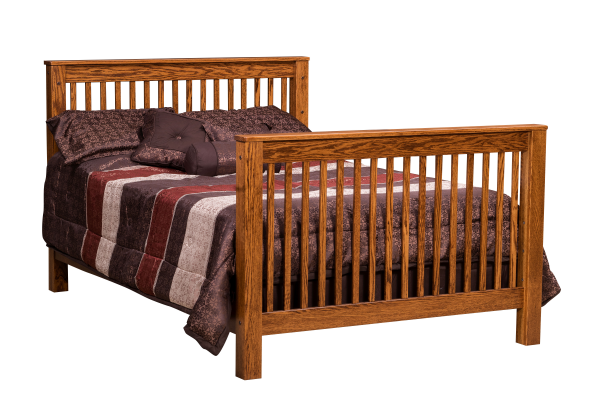 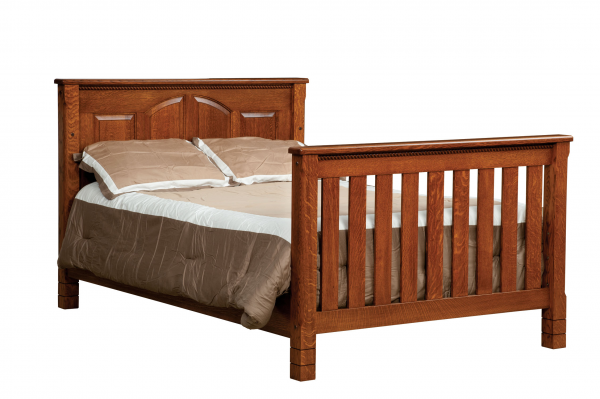 The same bed your child sleeps in as a baby, they will sleep in as an adult. 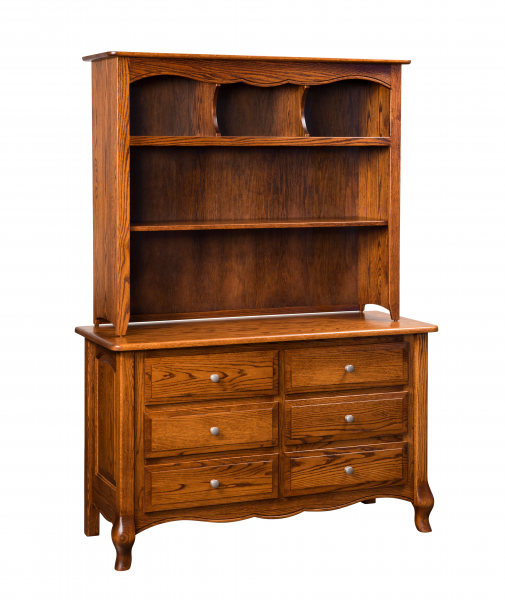 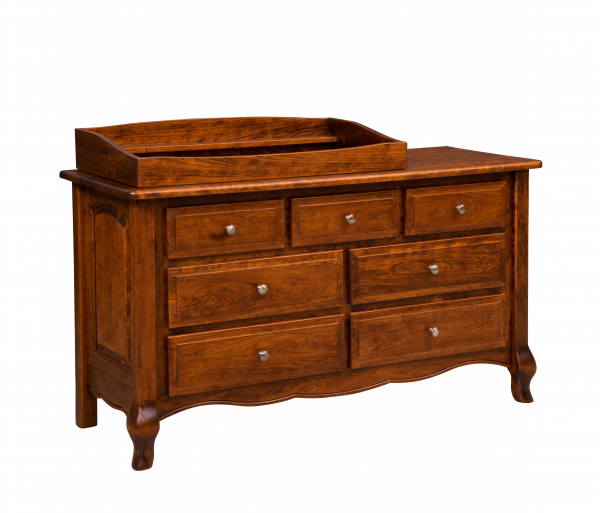 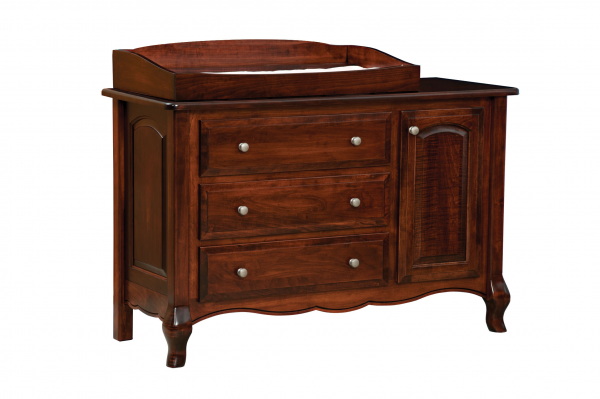 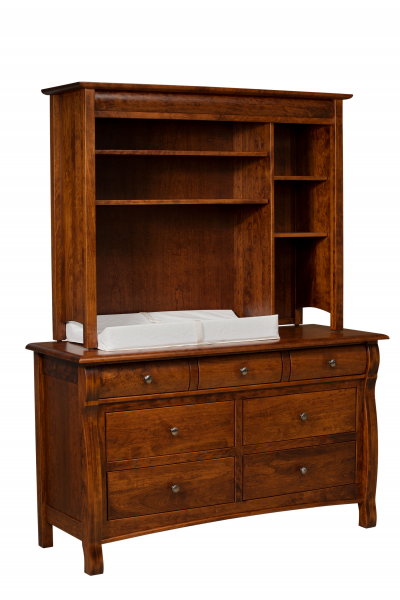 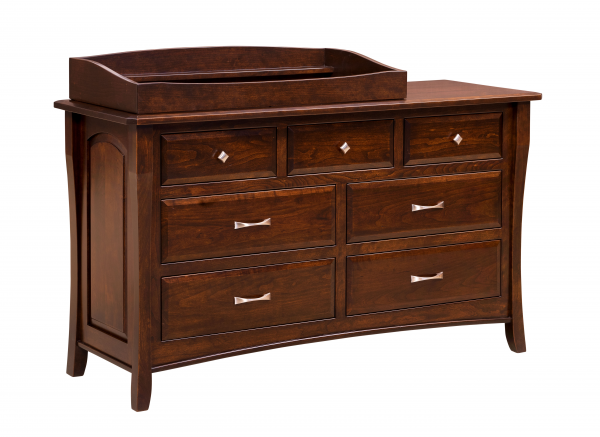 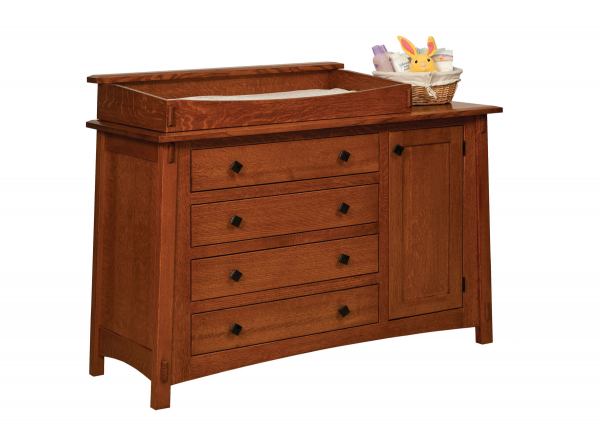 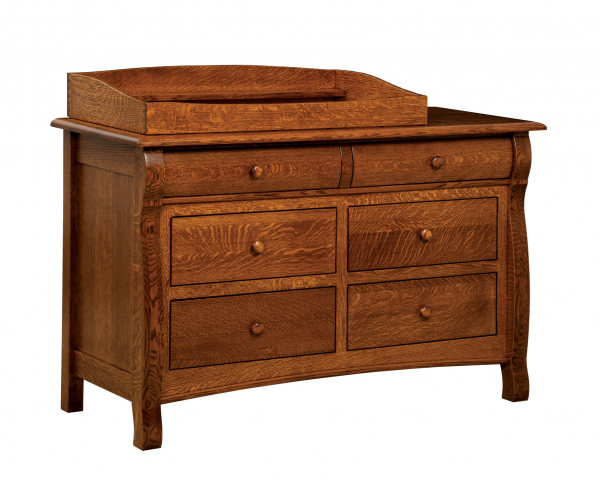 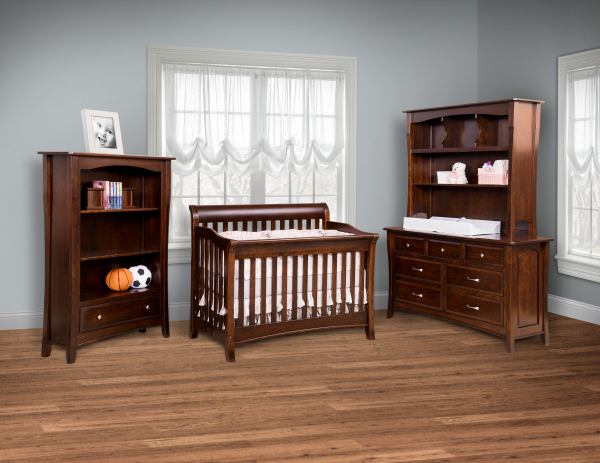 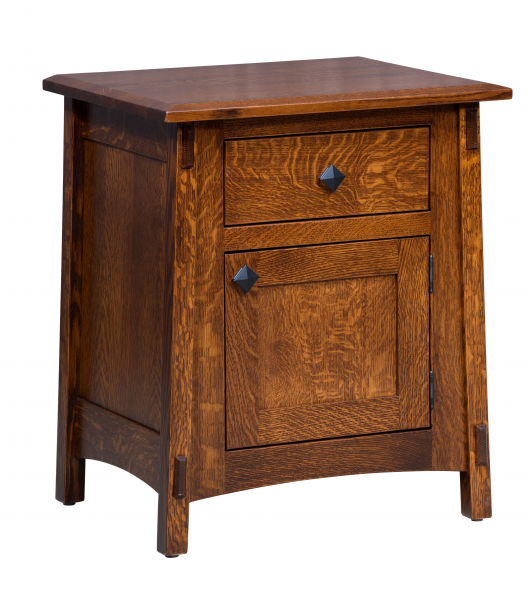 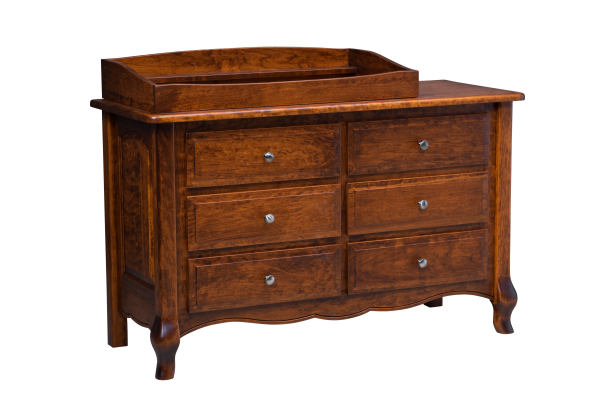 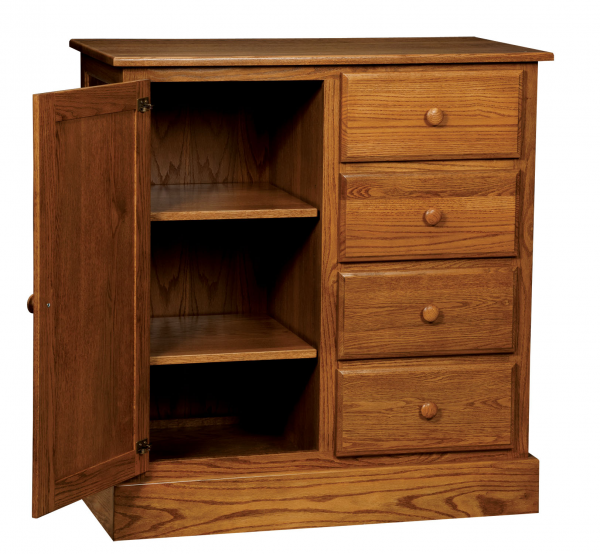 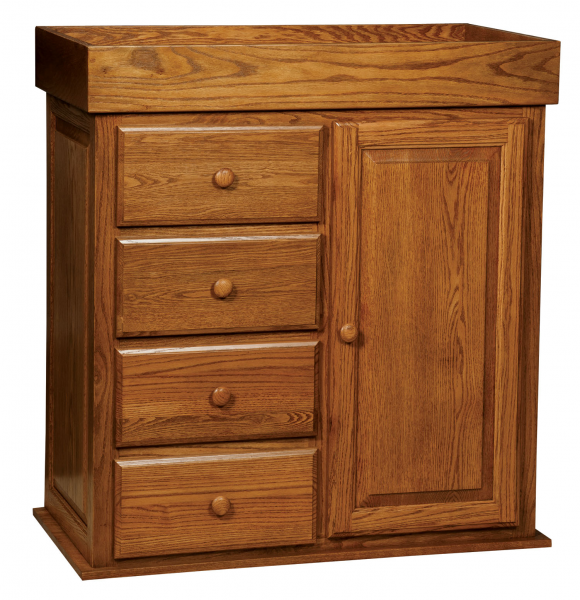 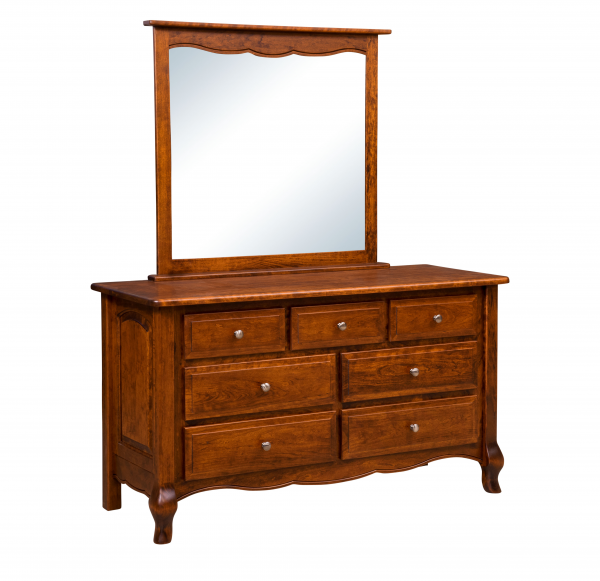 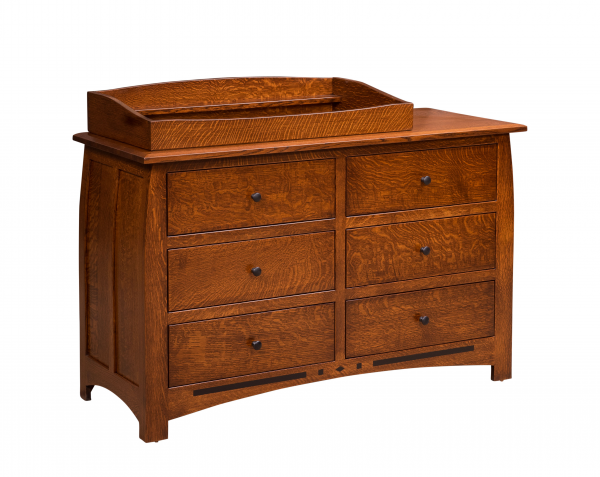 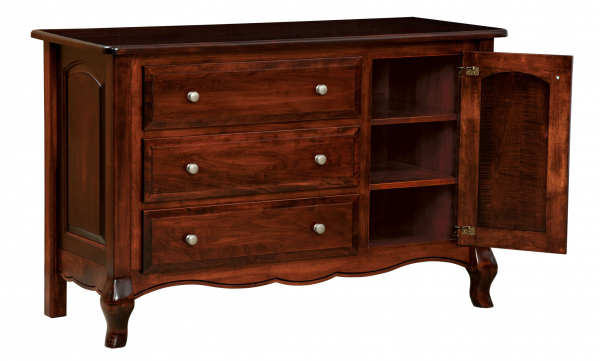 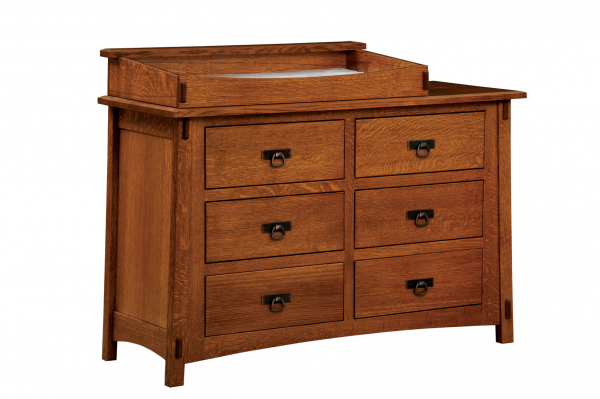 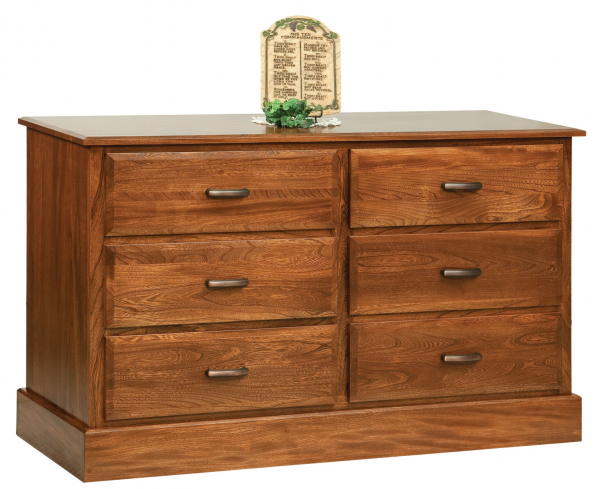 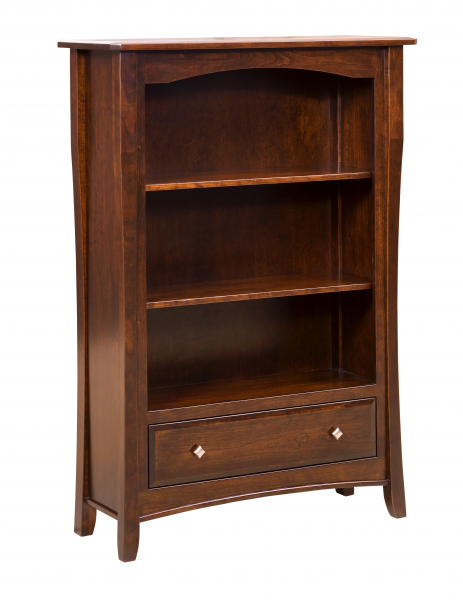 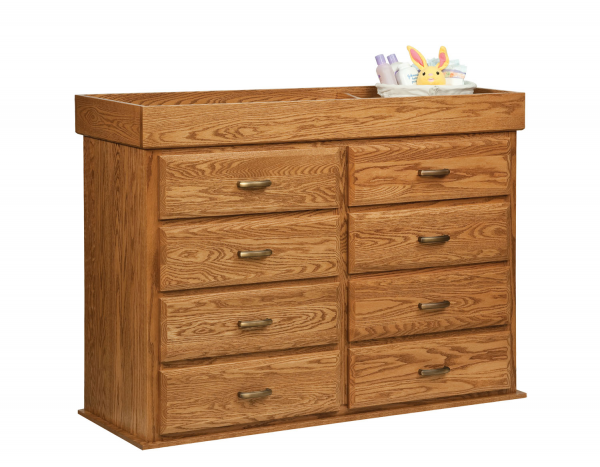 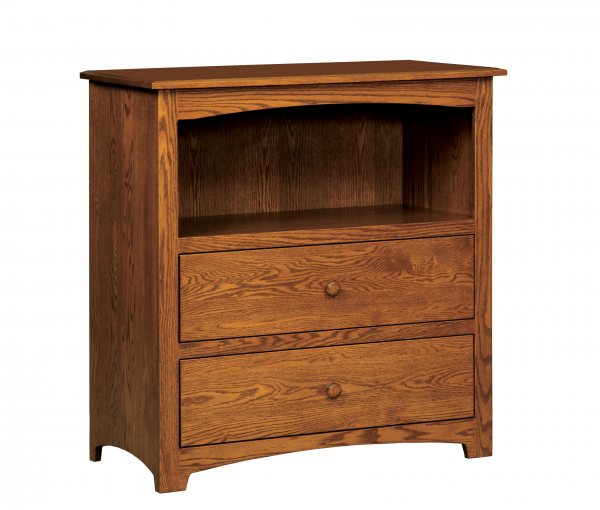 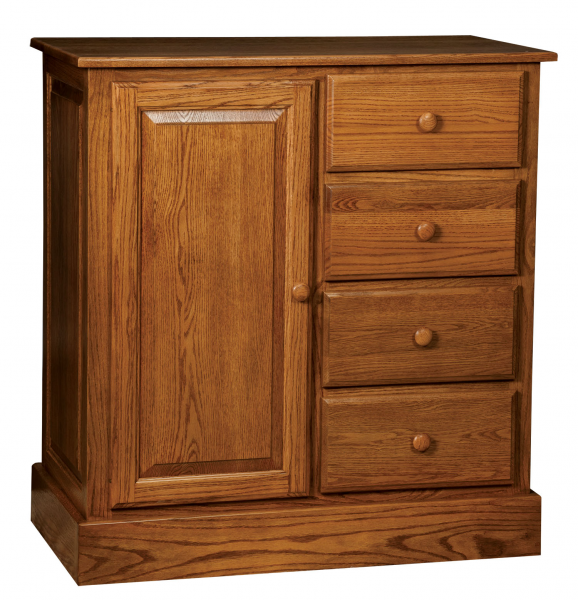 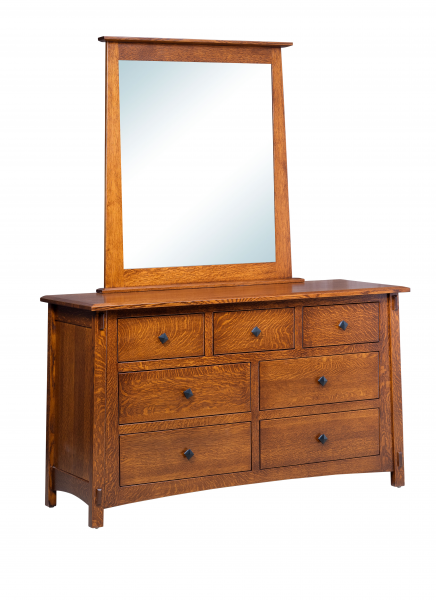 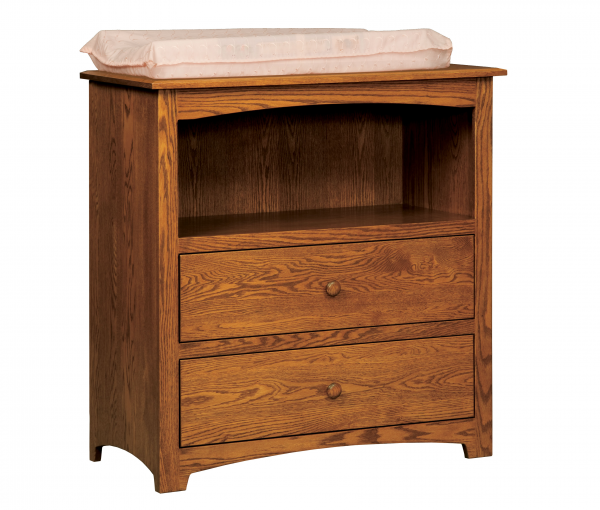 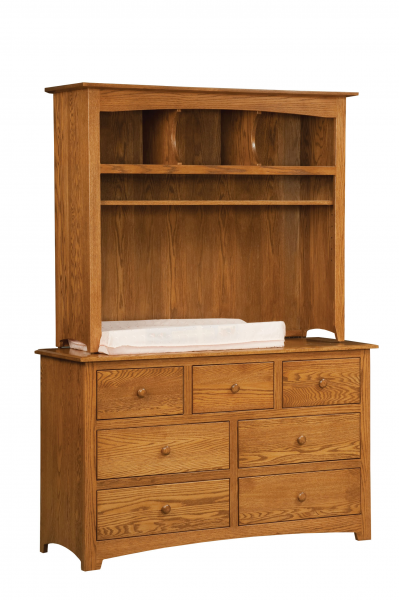 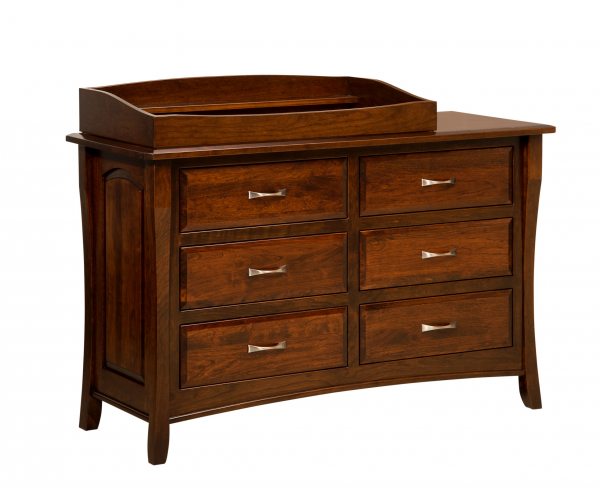 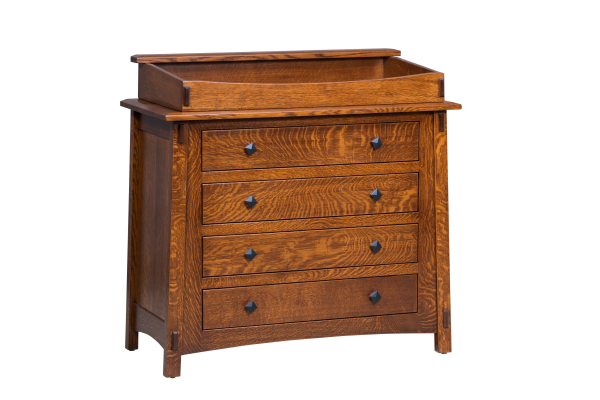 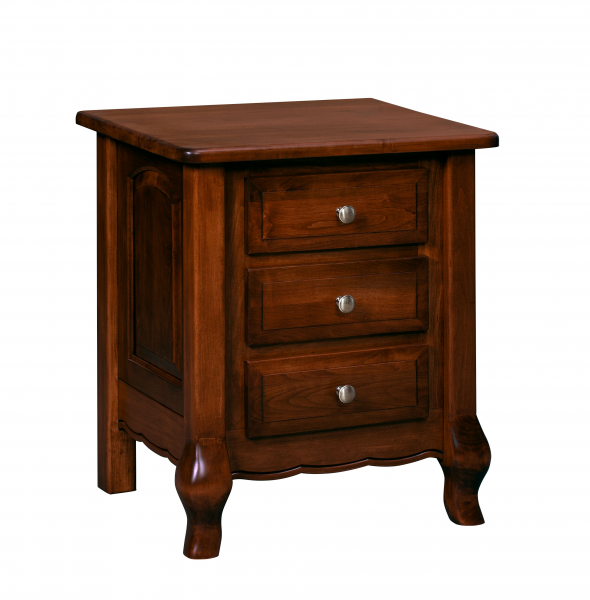 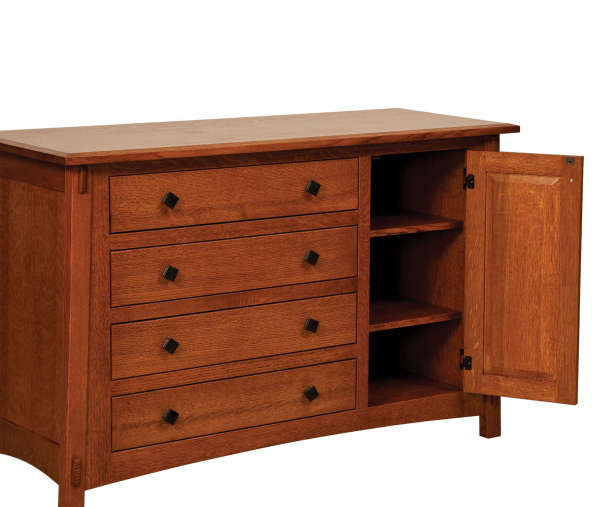 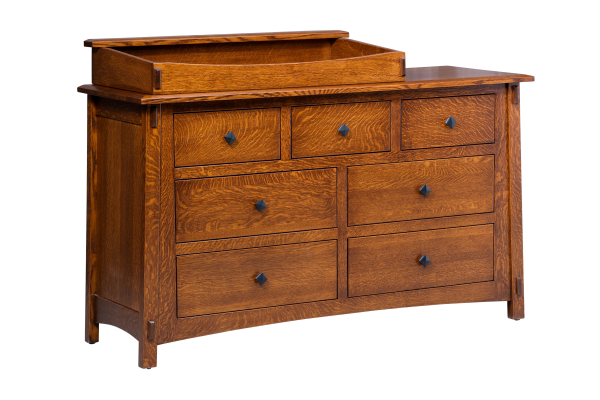 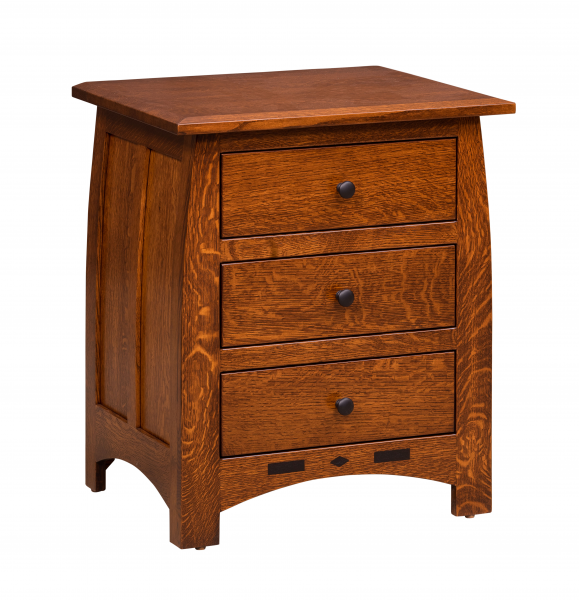 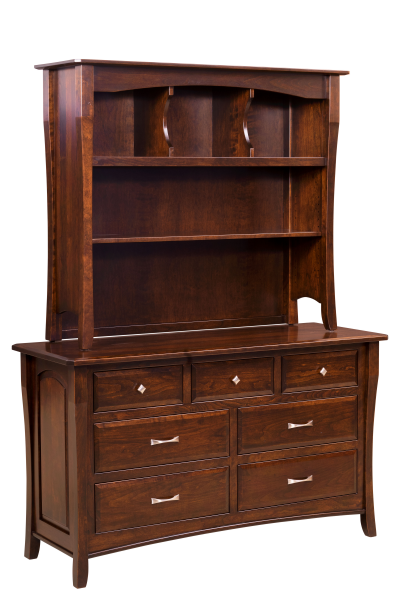 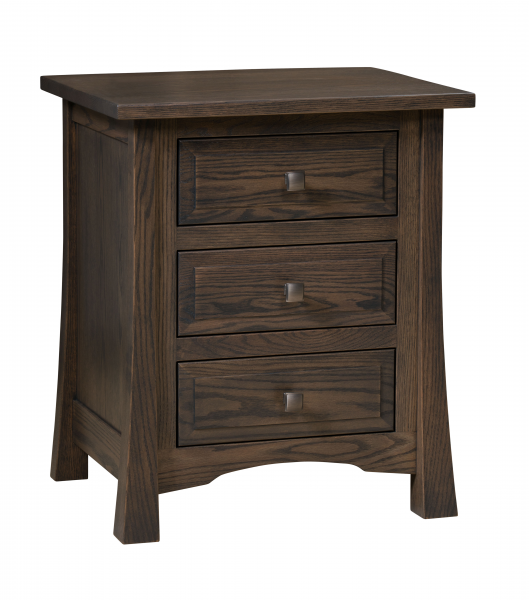 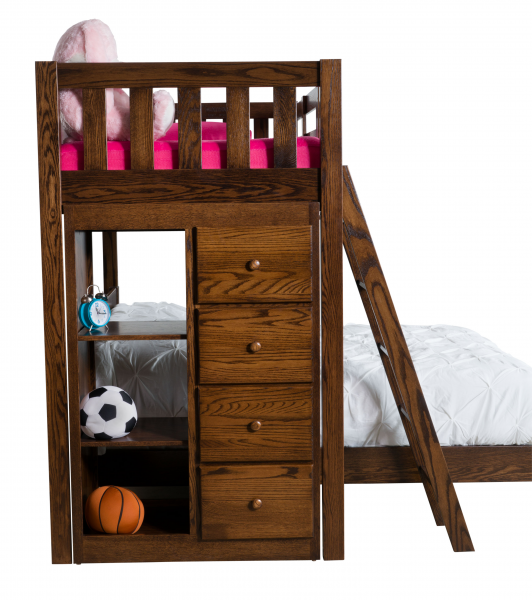 Below are a few examples of the Amish made children's furniture we offer. 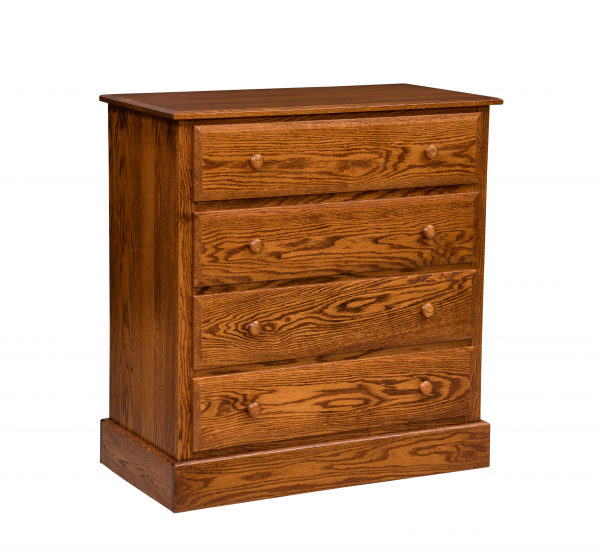 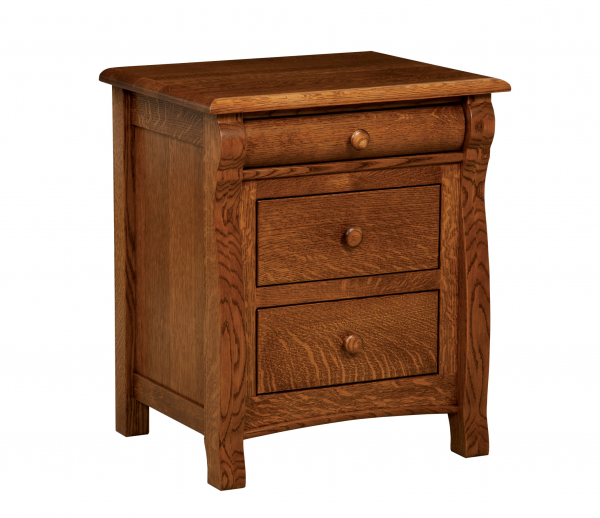 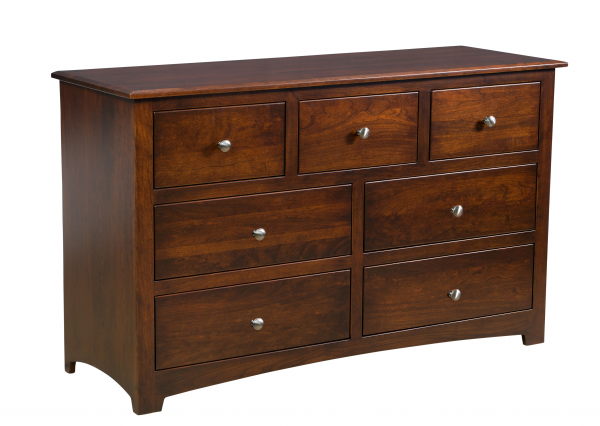 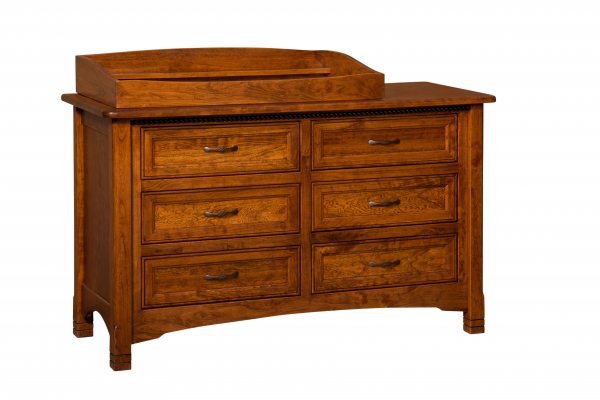 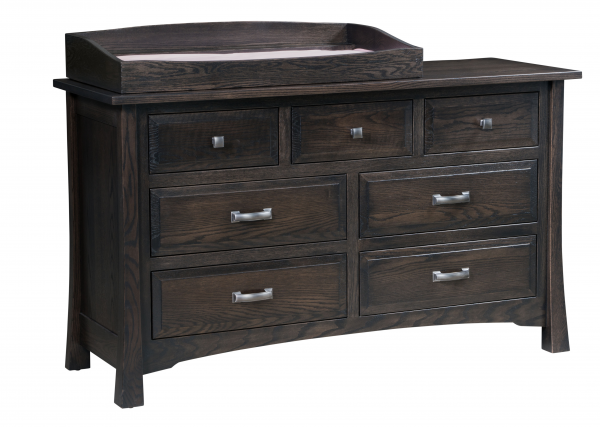 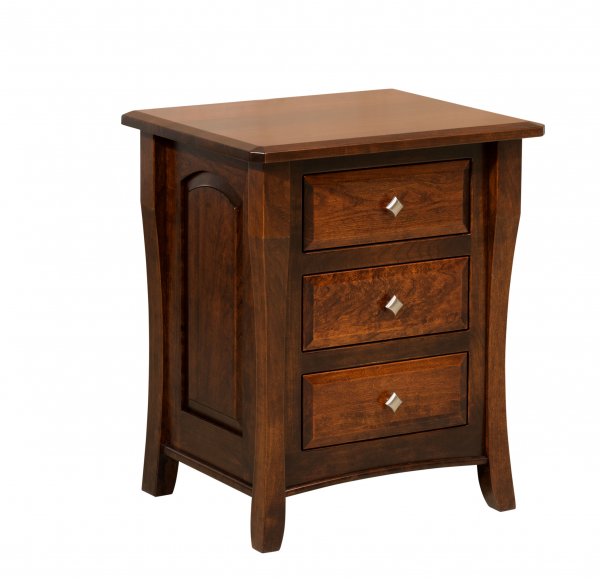 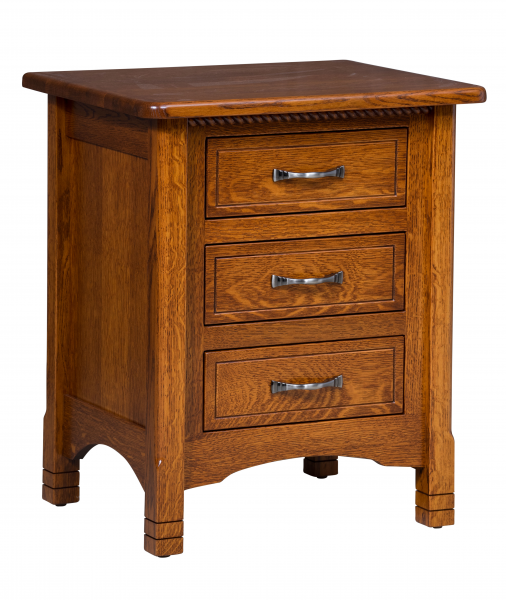 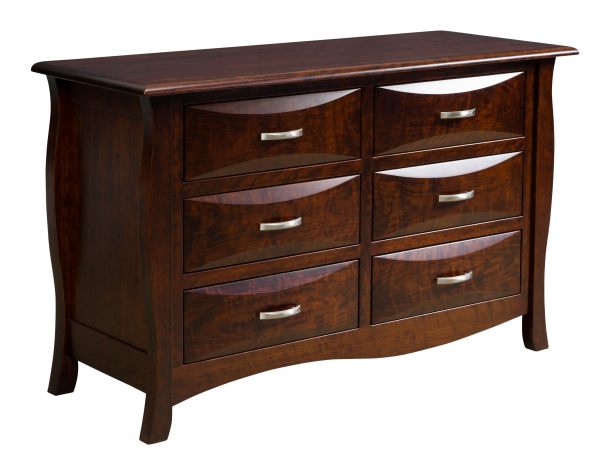 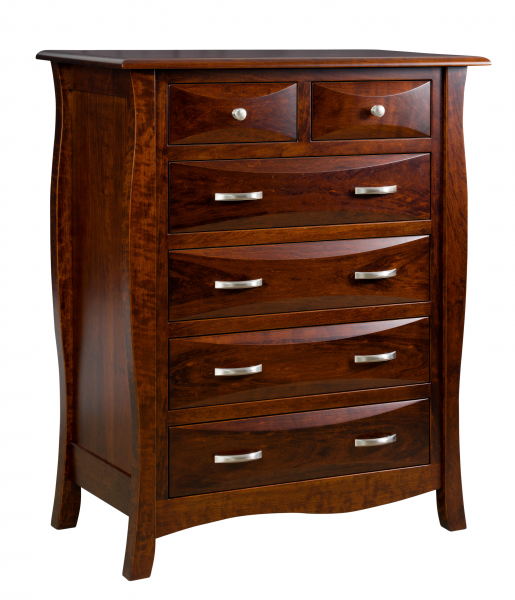 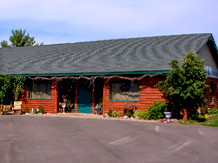 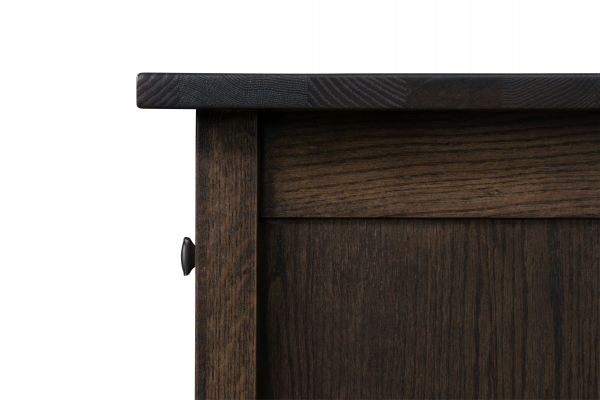 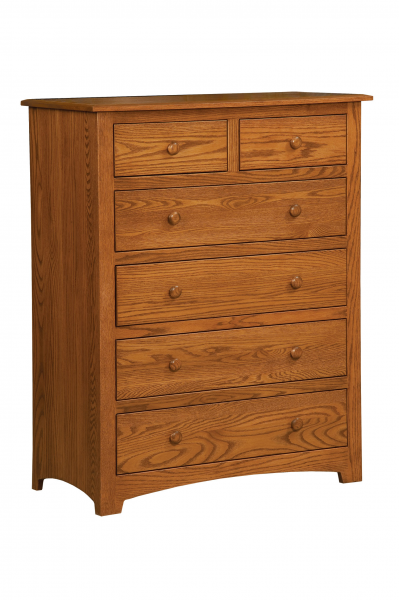 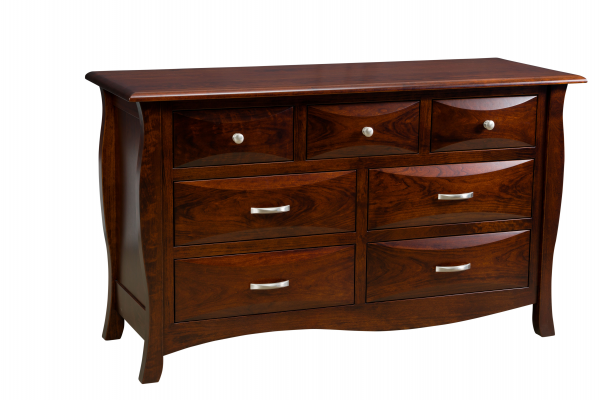 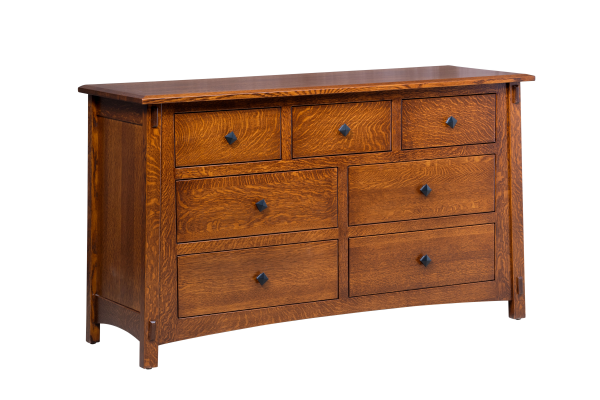 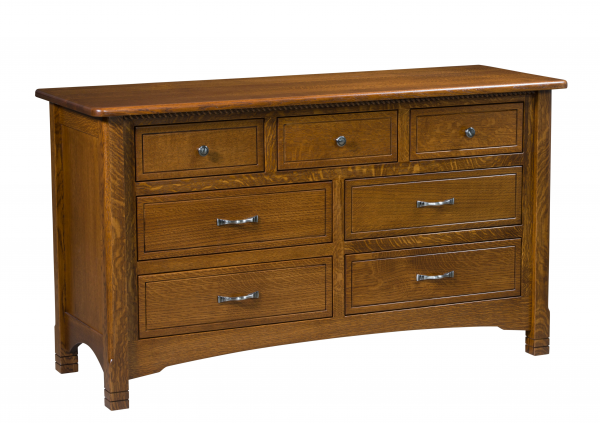 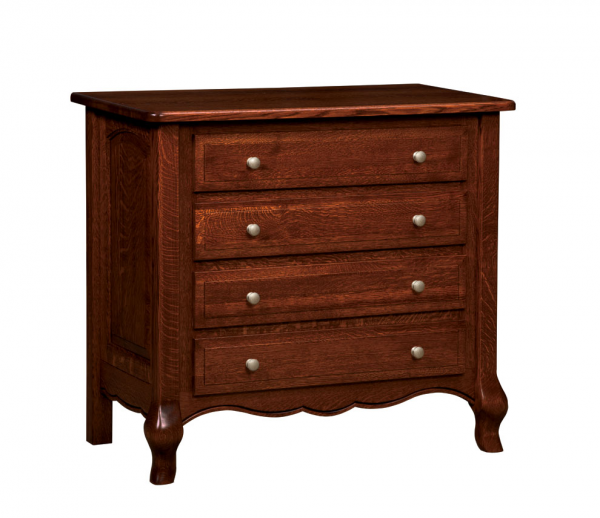 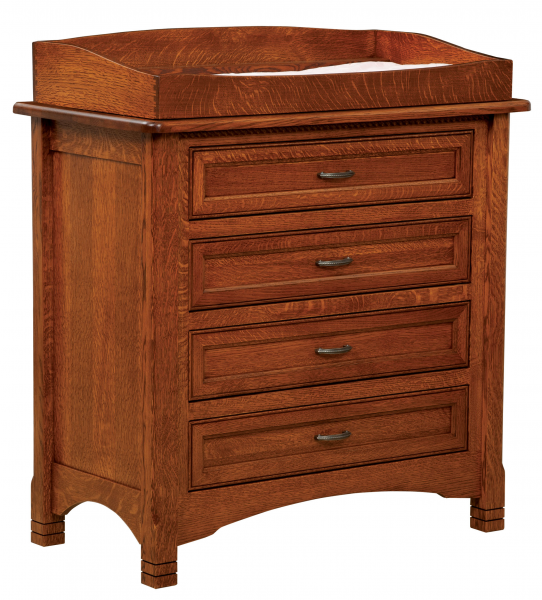 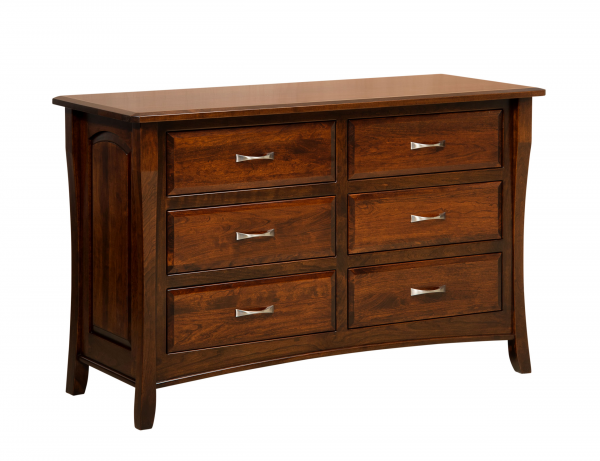 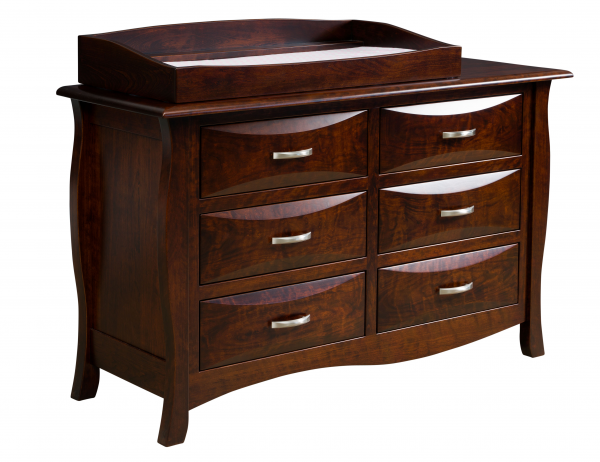 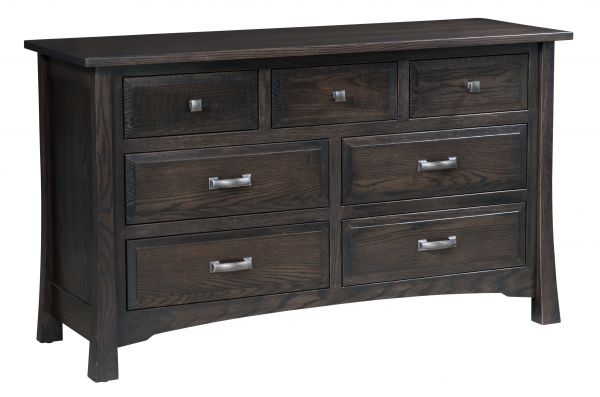 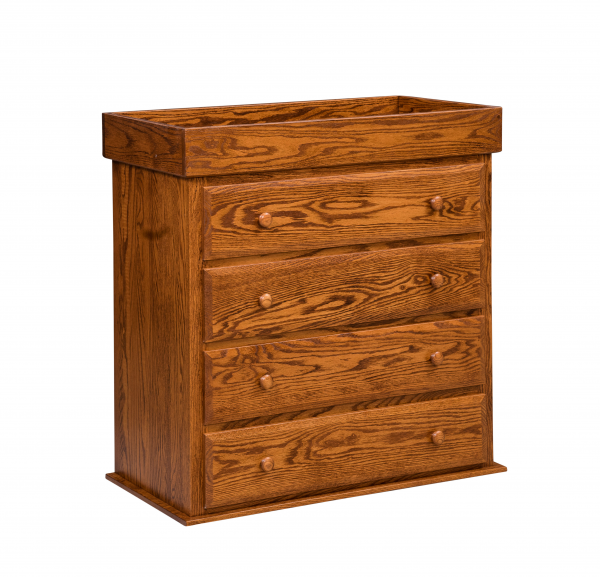 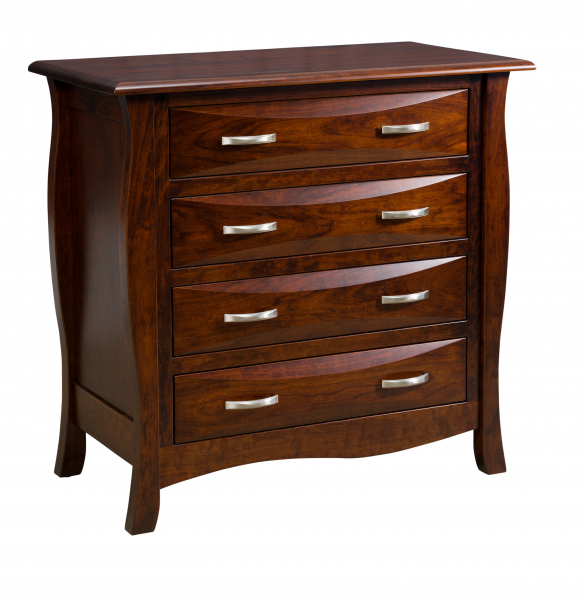 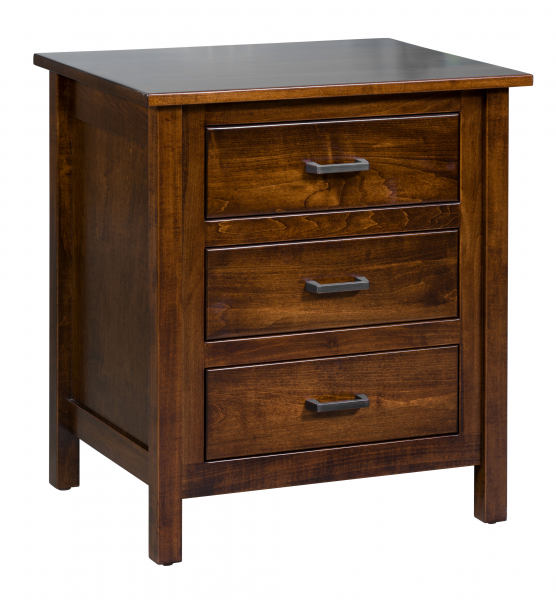 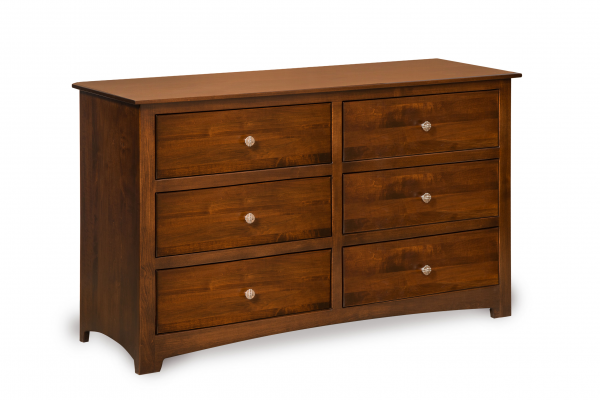 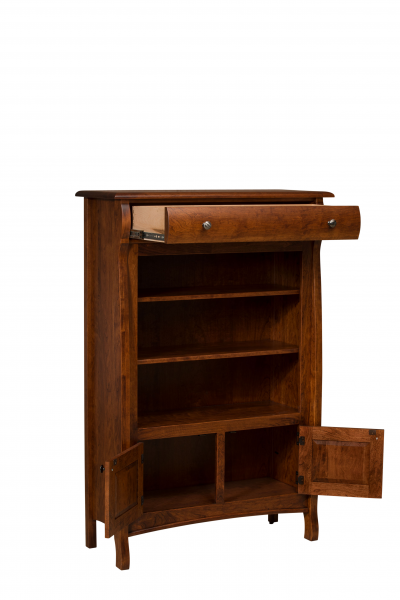 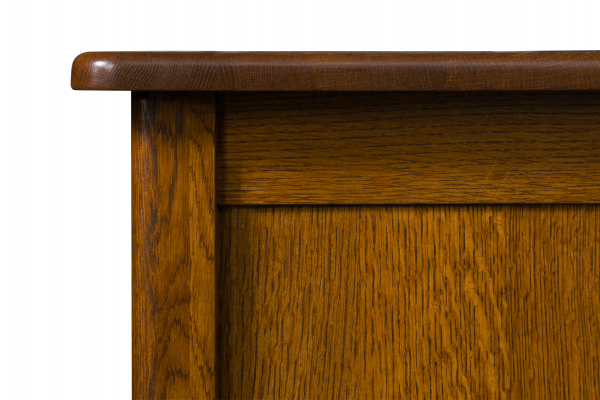 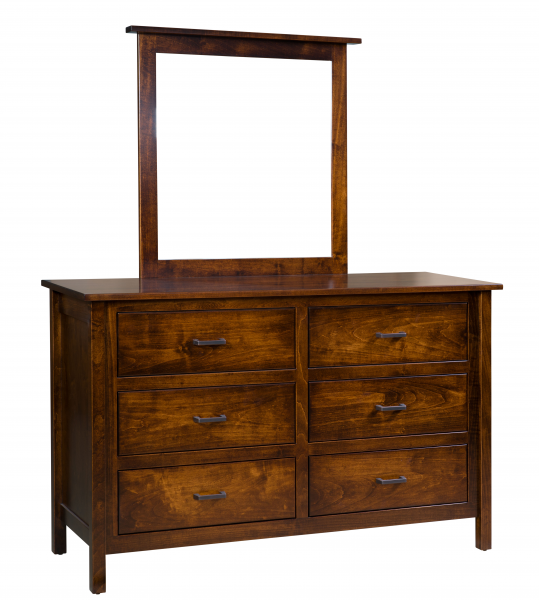 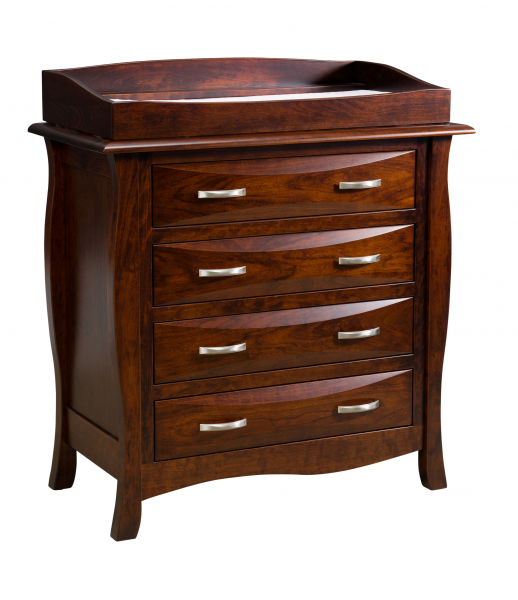 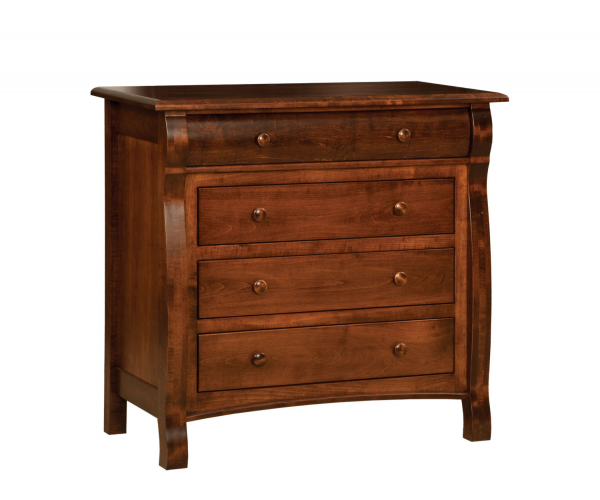 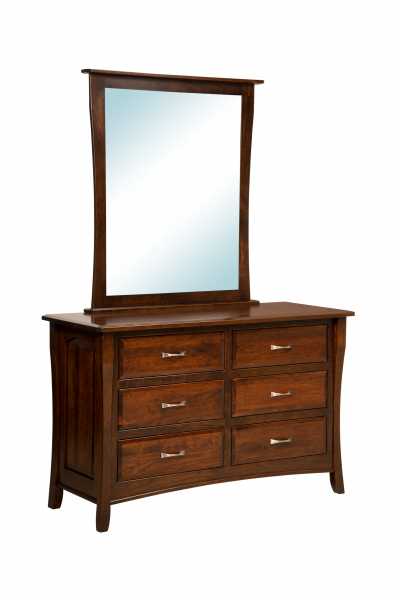 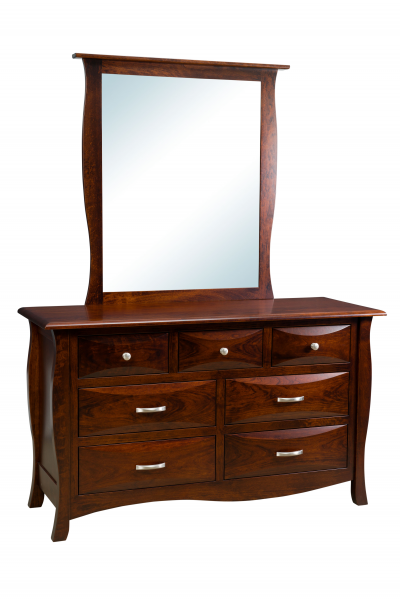 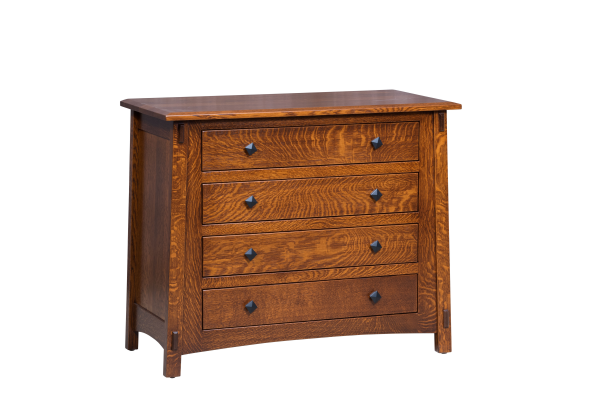 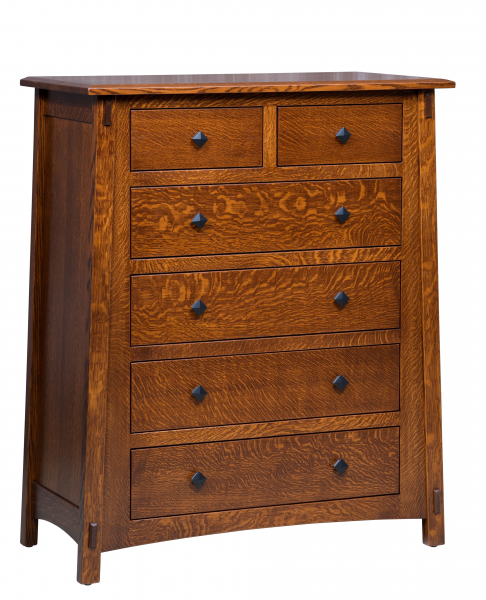 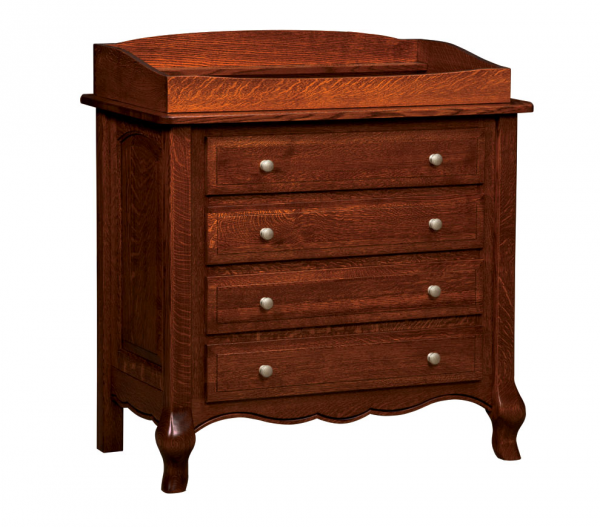 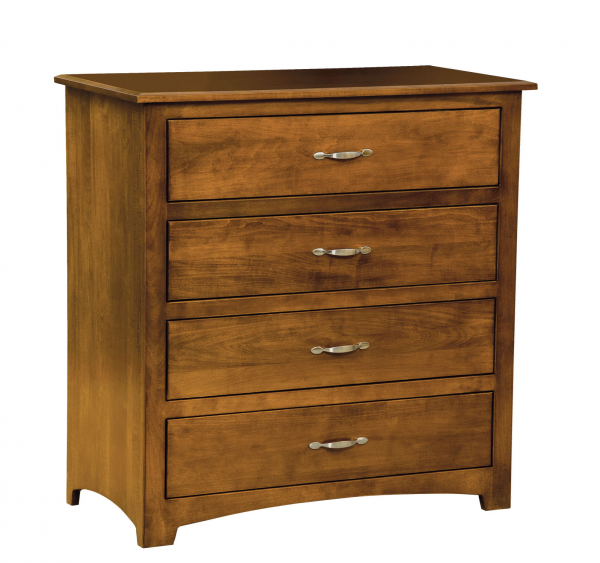 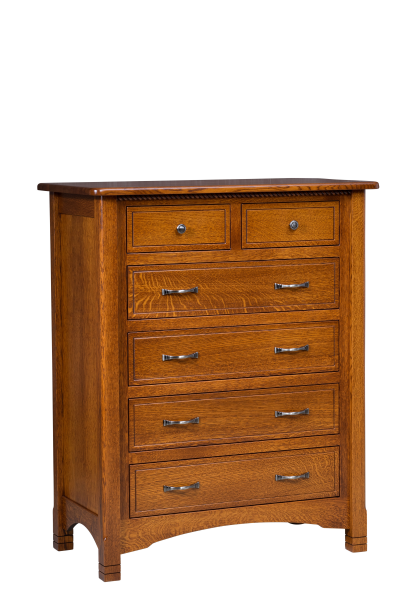 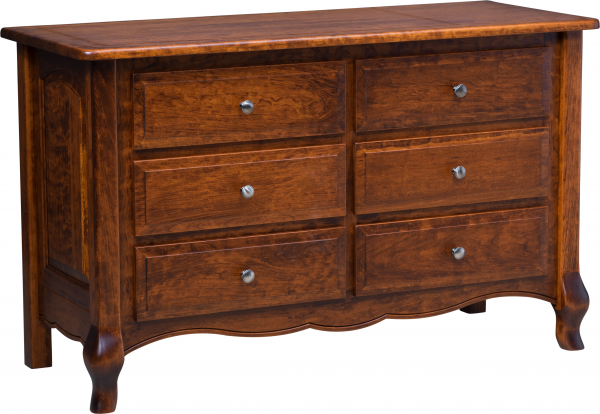 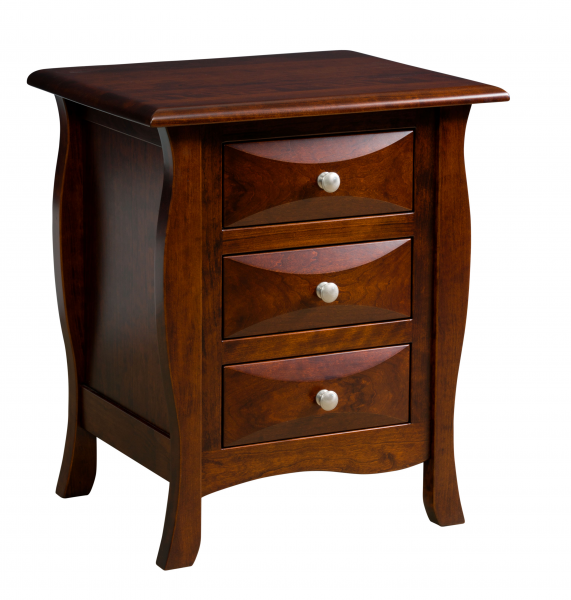 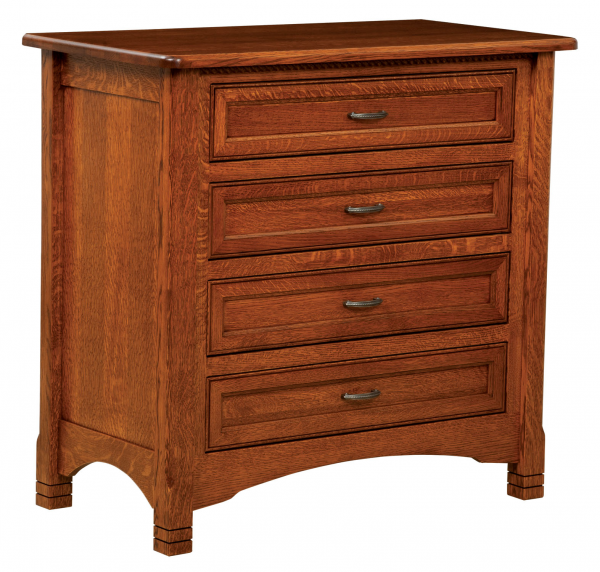 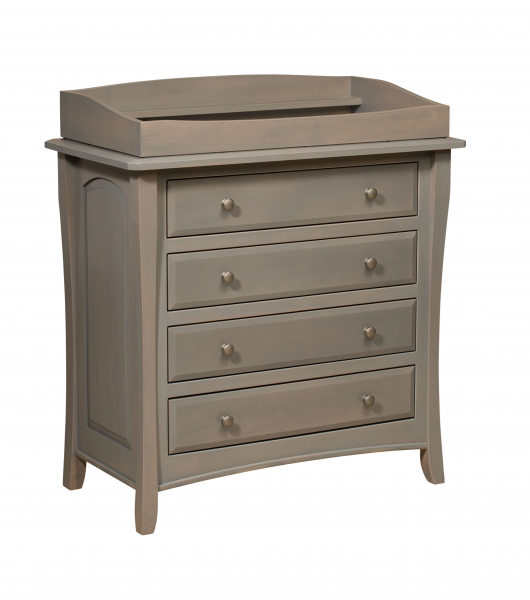 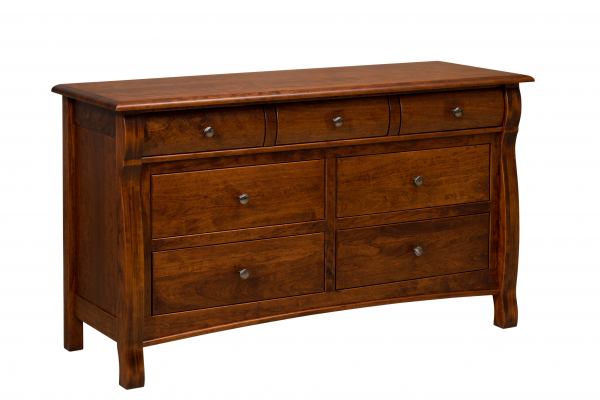 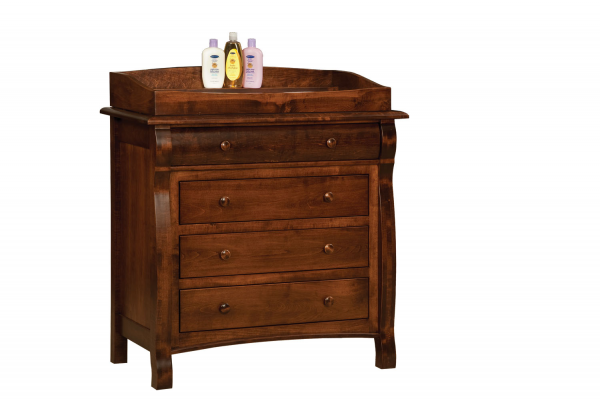 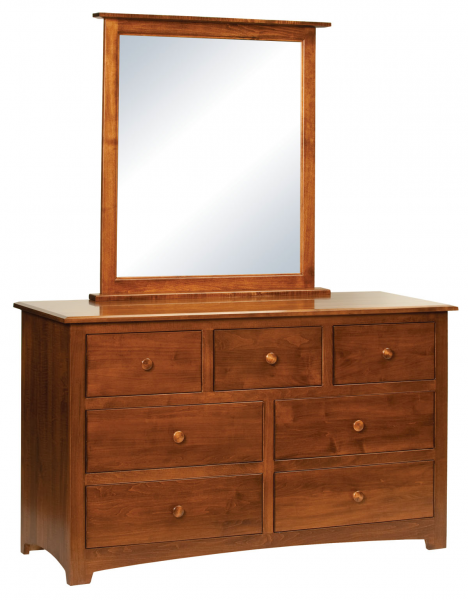 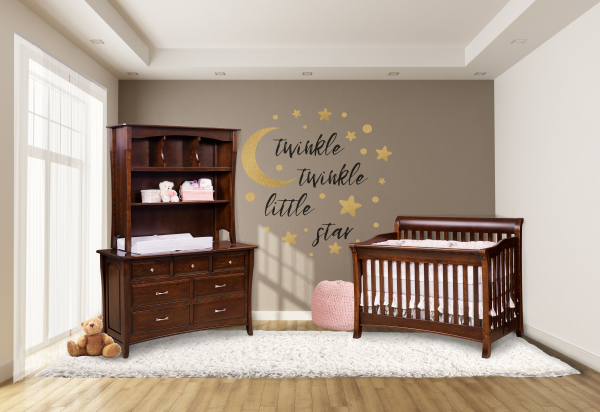 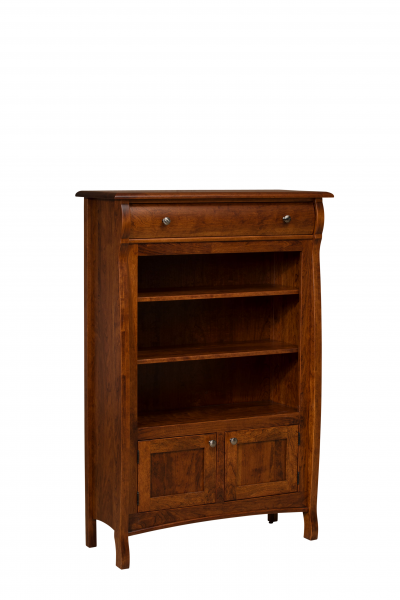 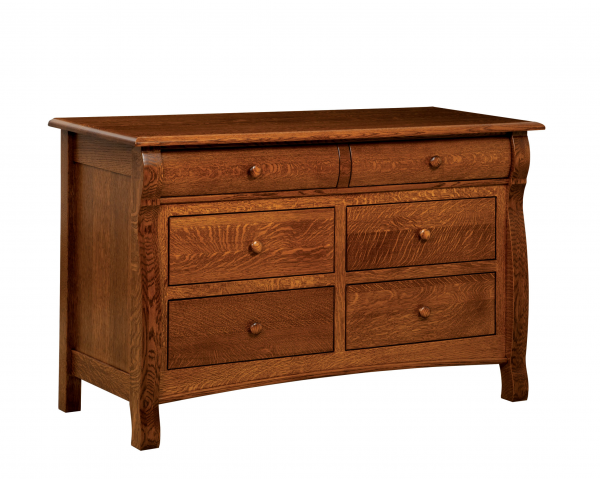 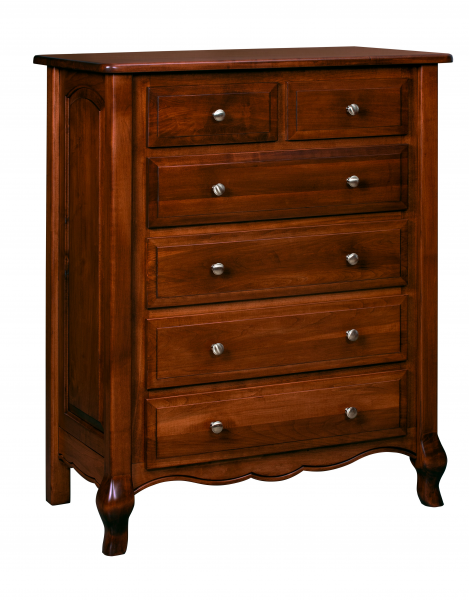 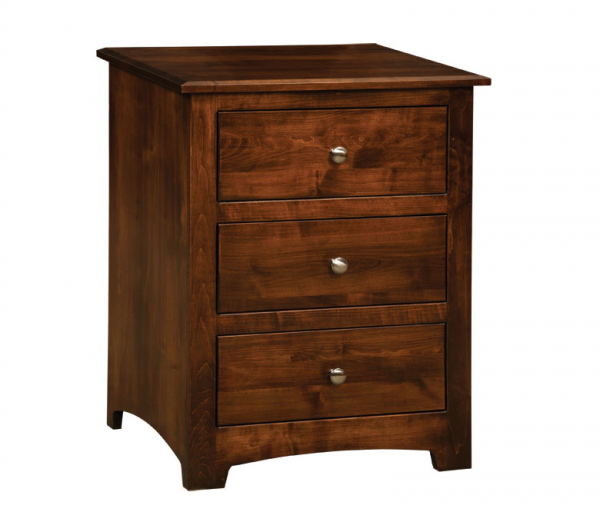 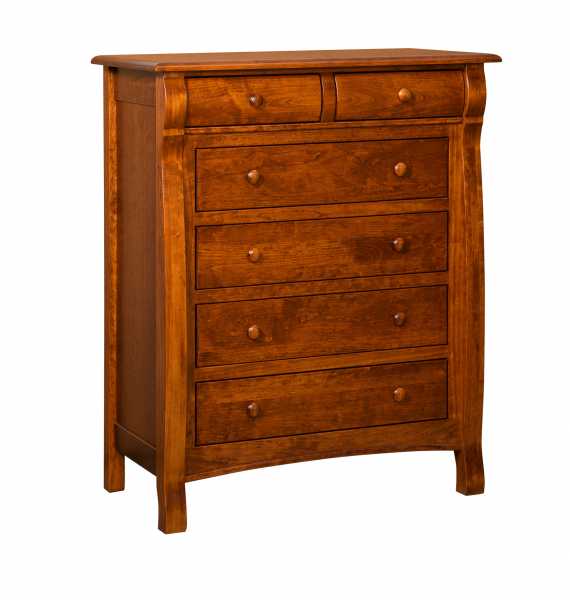 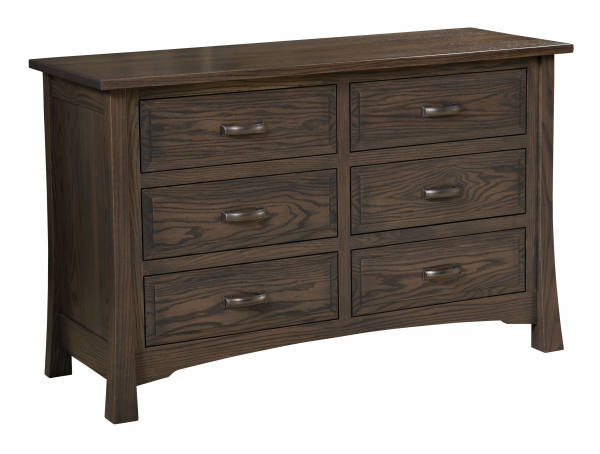 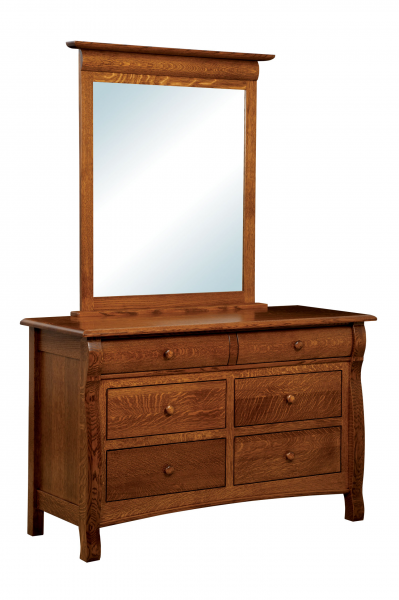 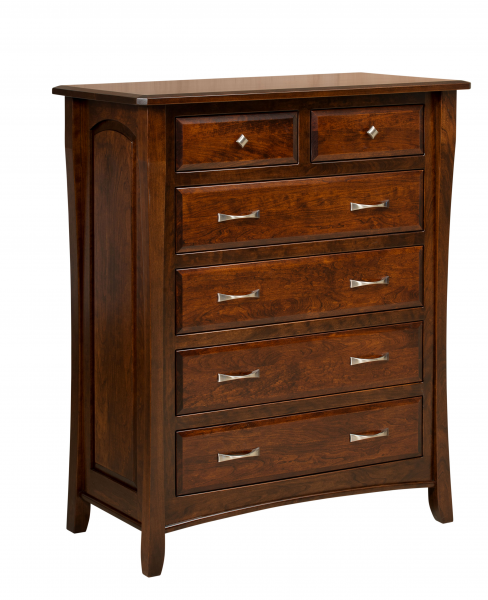 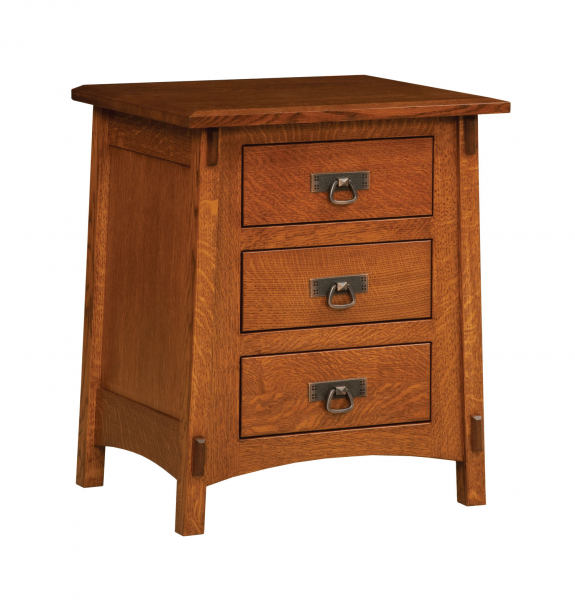 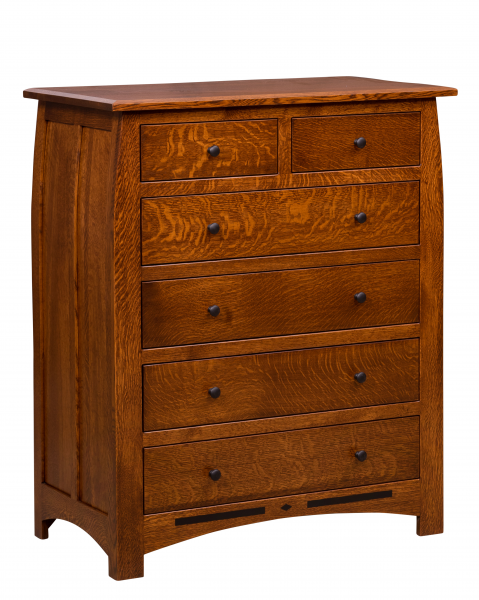 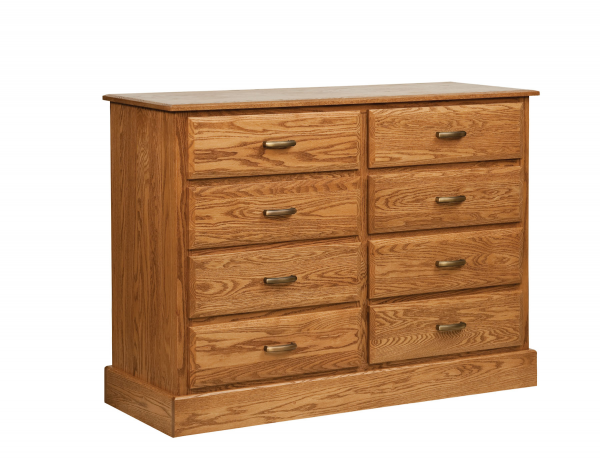 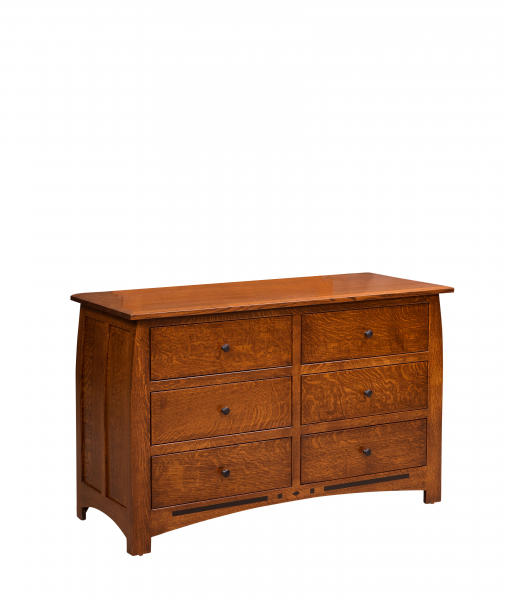 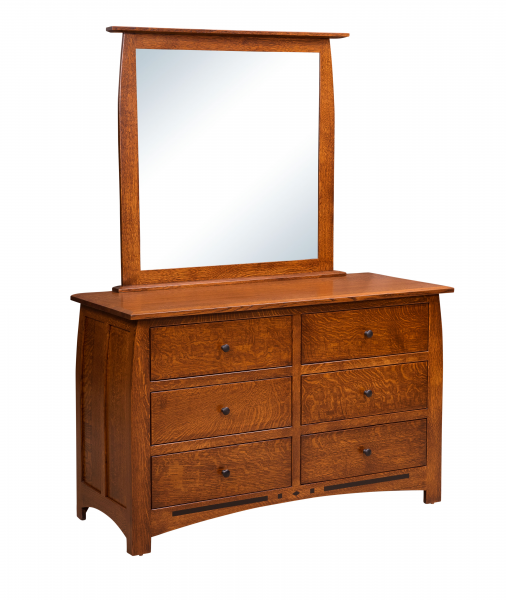 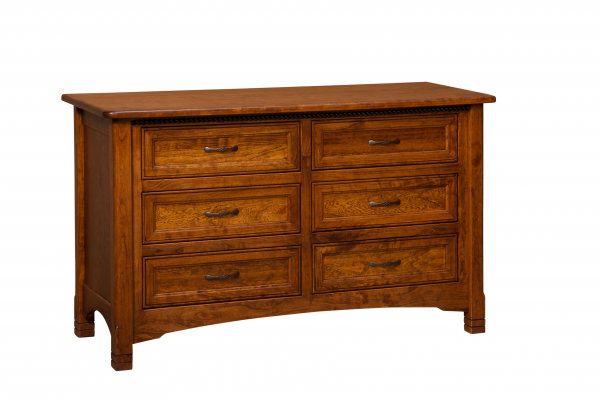 To view the entire collection and to really appreciate the quality and craftsmanship, you need to visit our store, located 5 miles west of New London, Wisconsin. 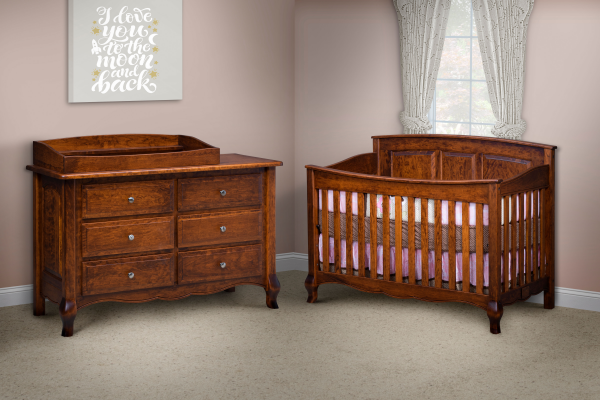 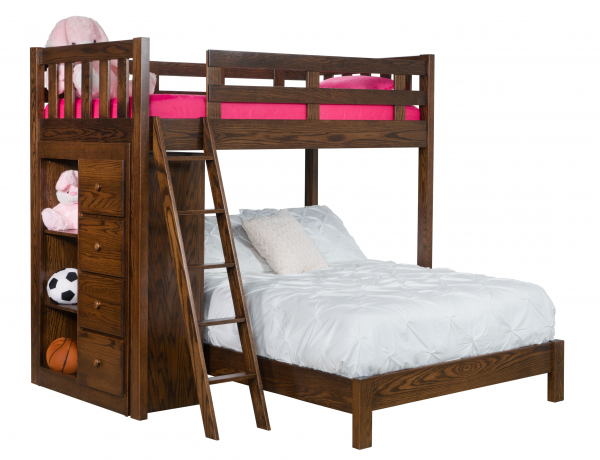 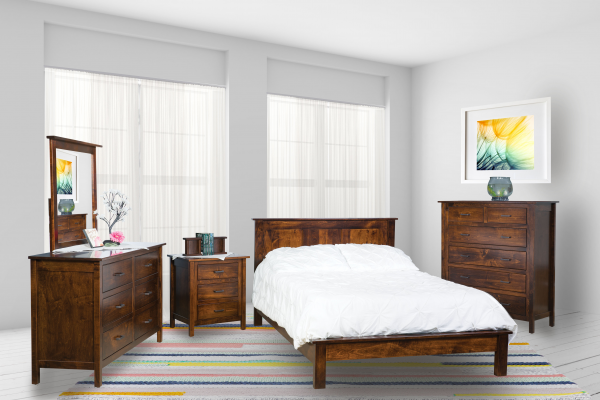 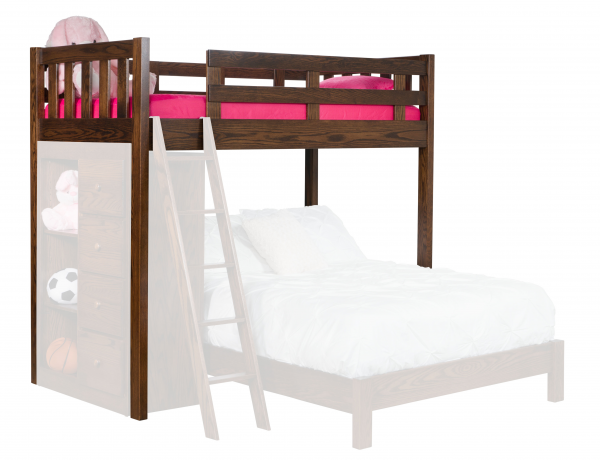 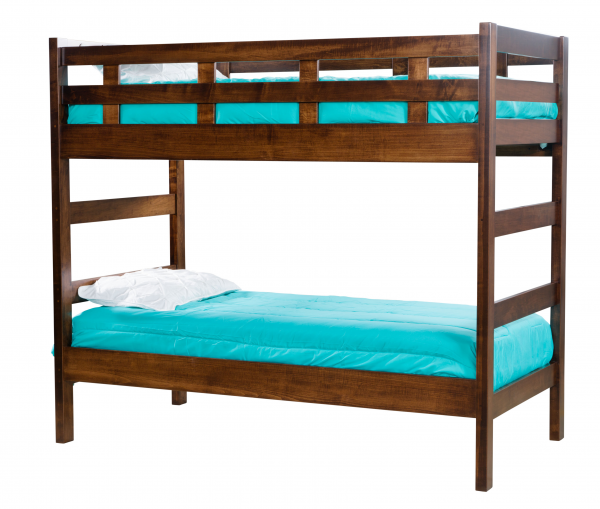 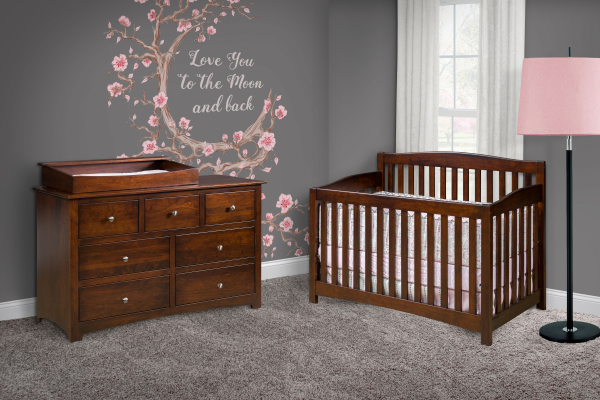 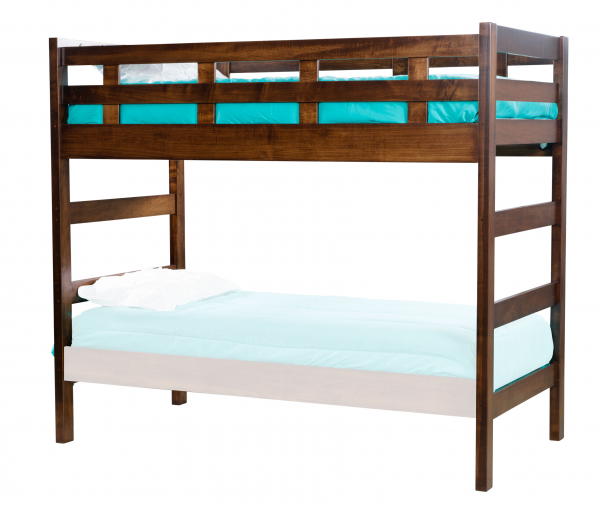 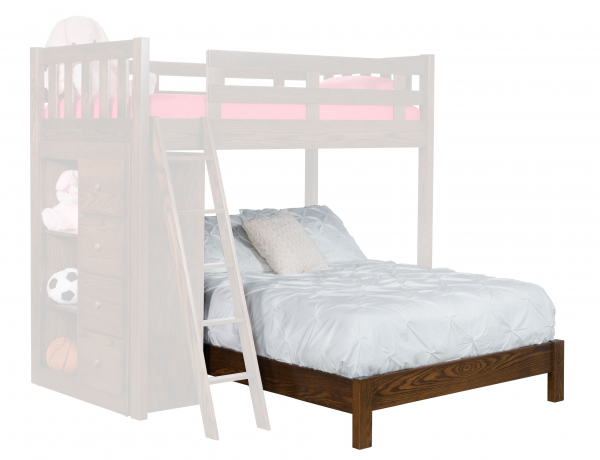 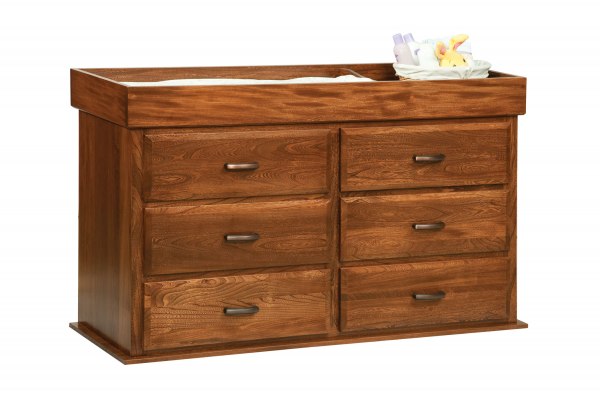 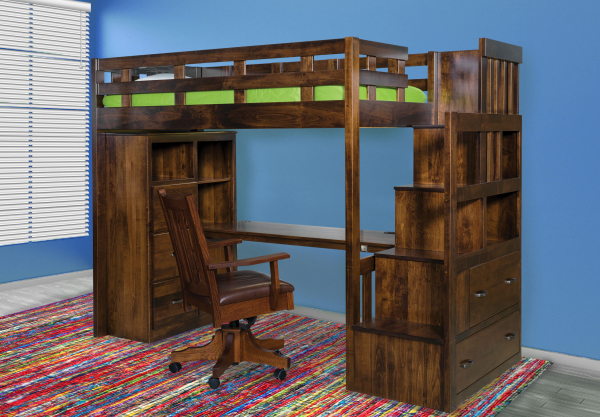 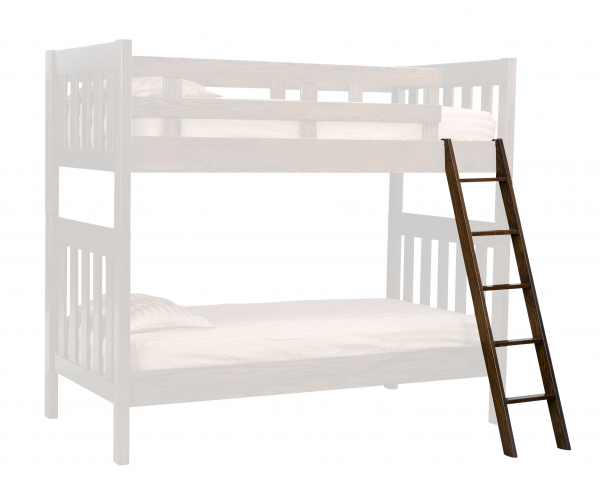 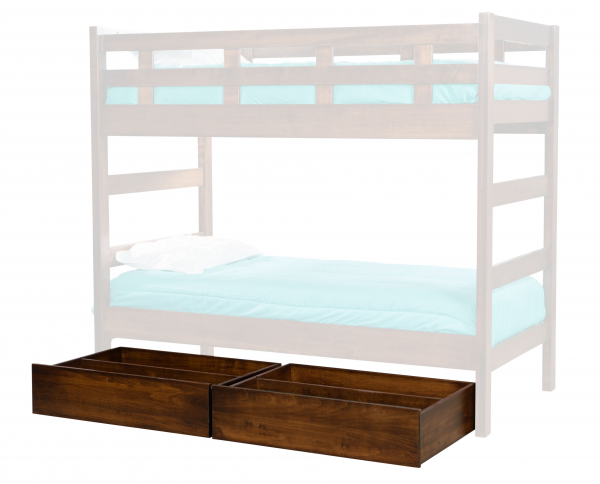 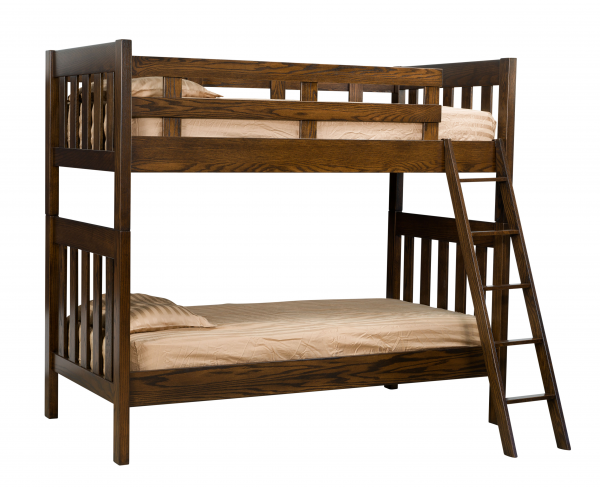 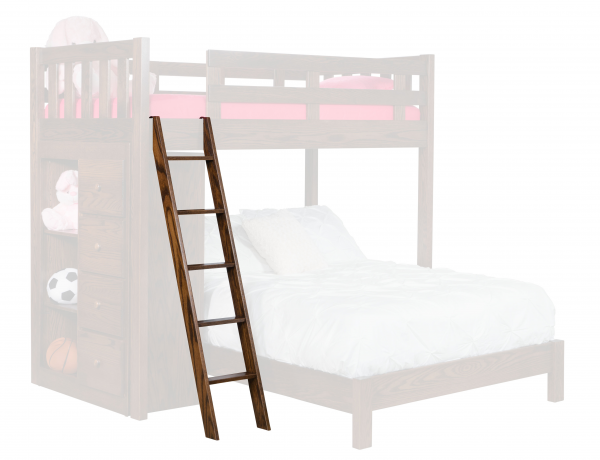 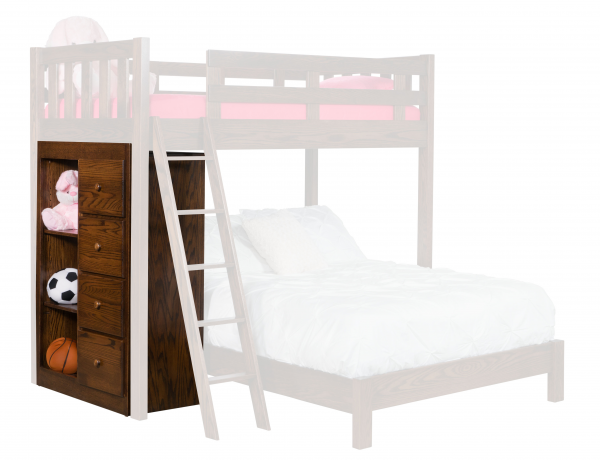 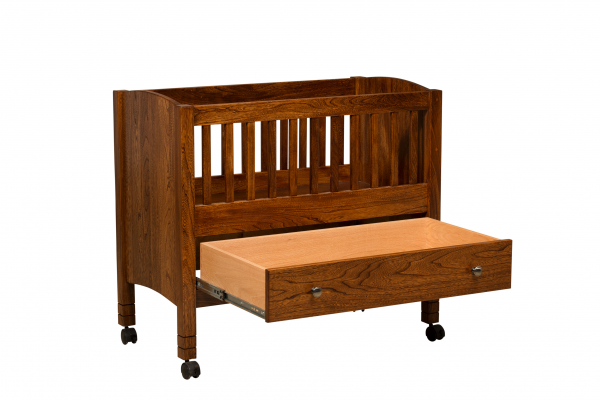 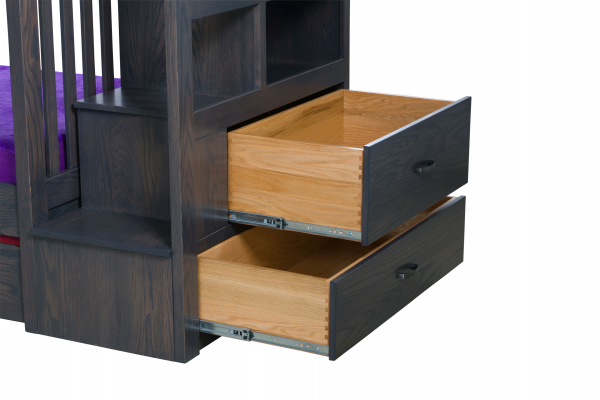 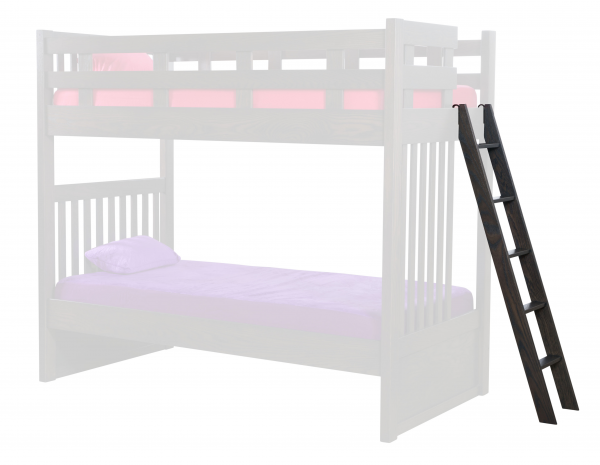 These beds convert to three different bed styles as your child grows.